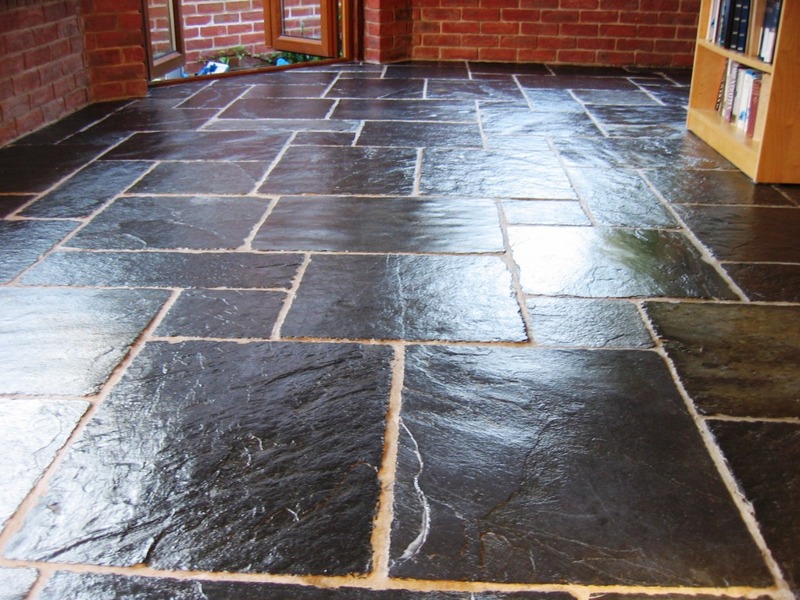 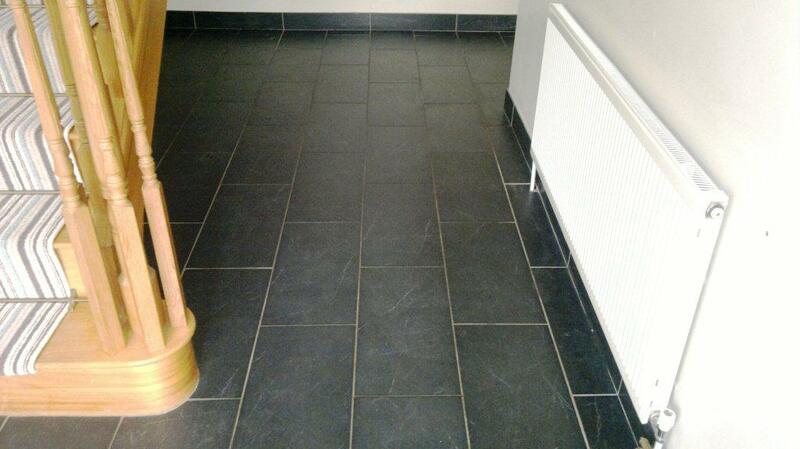 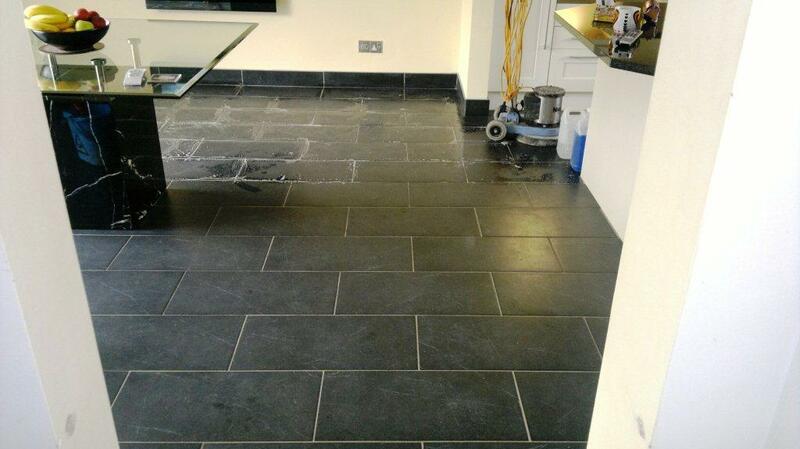 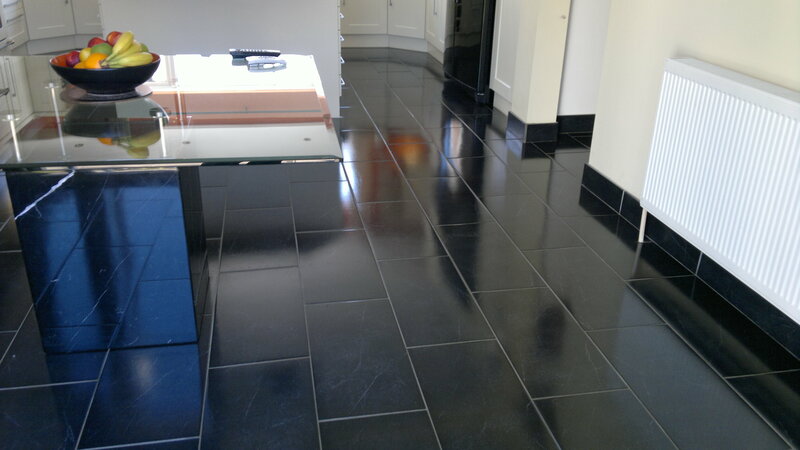 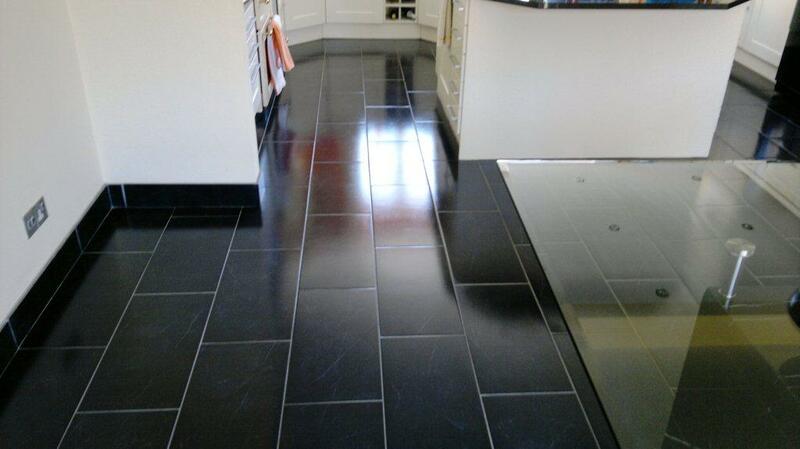 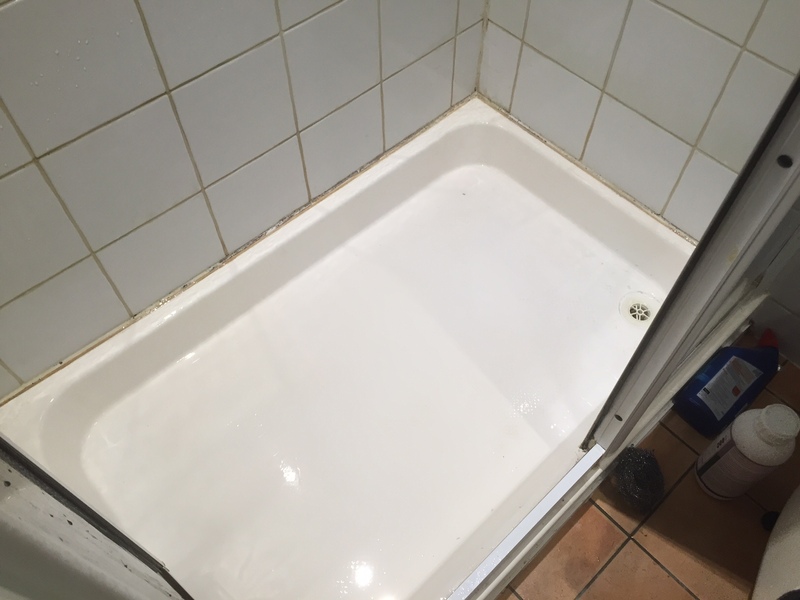 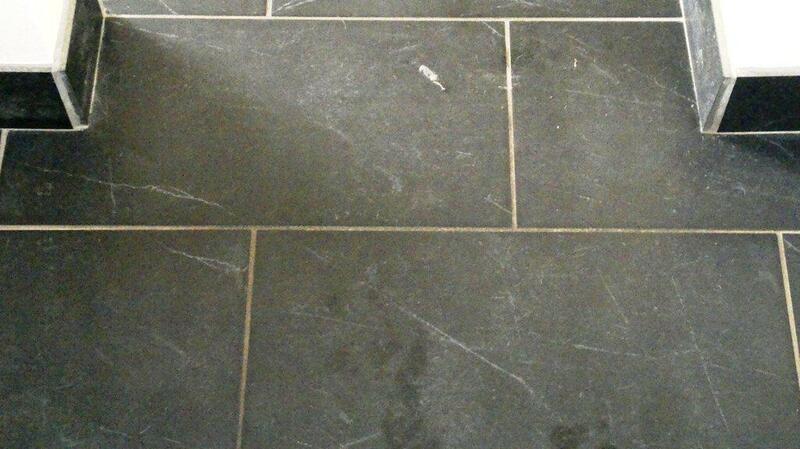 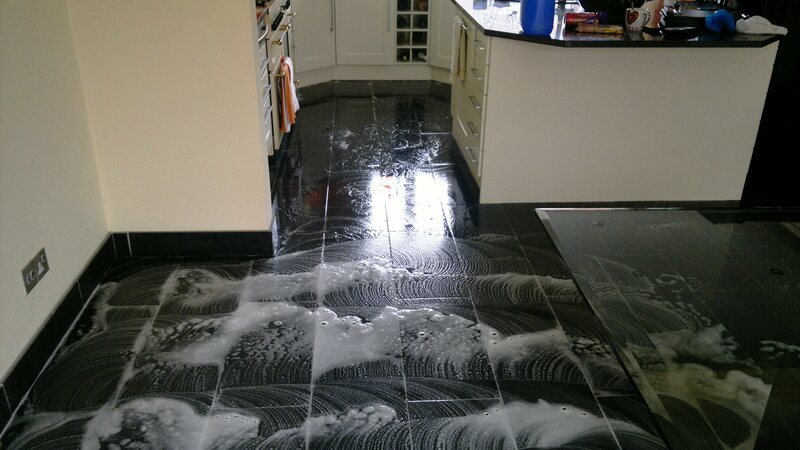 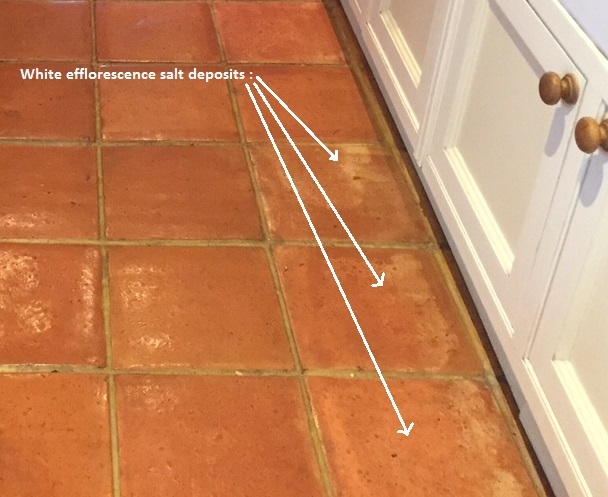 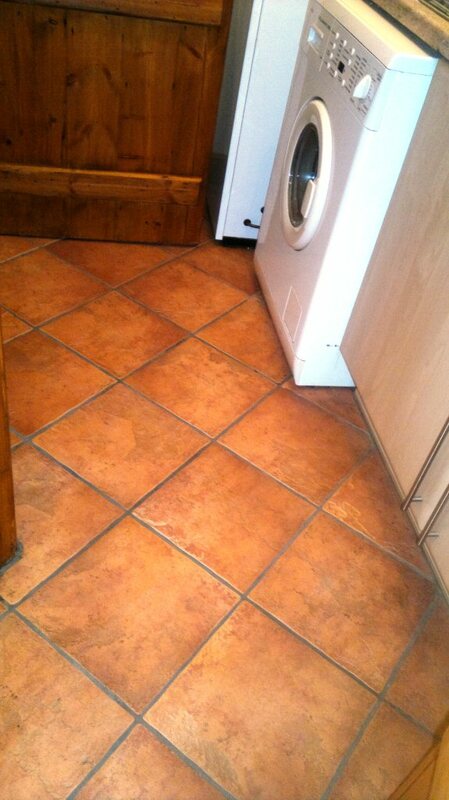 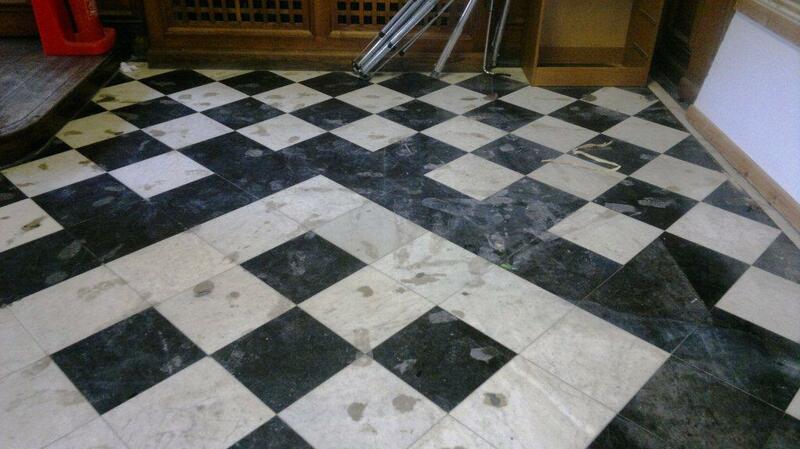 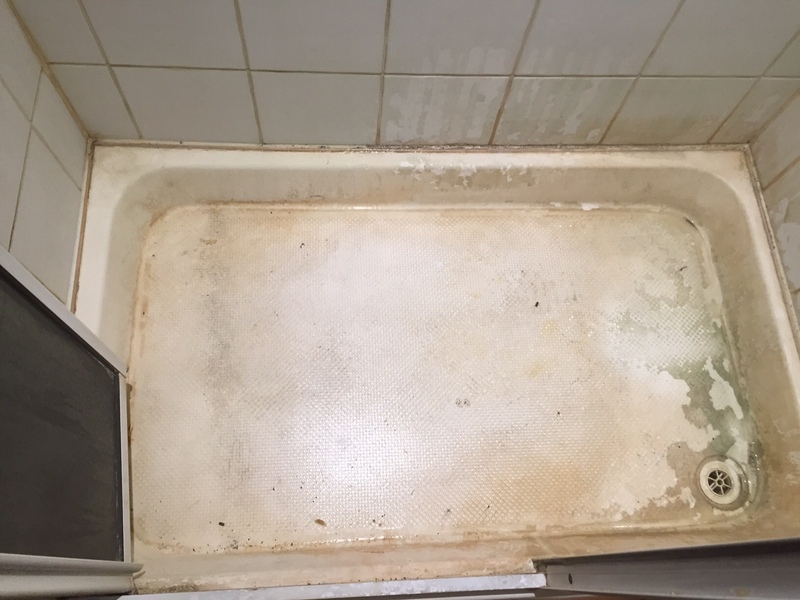 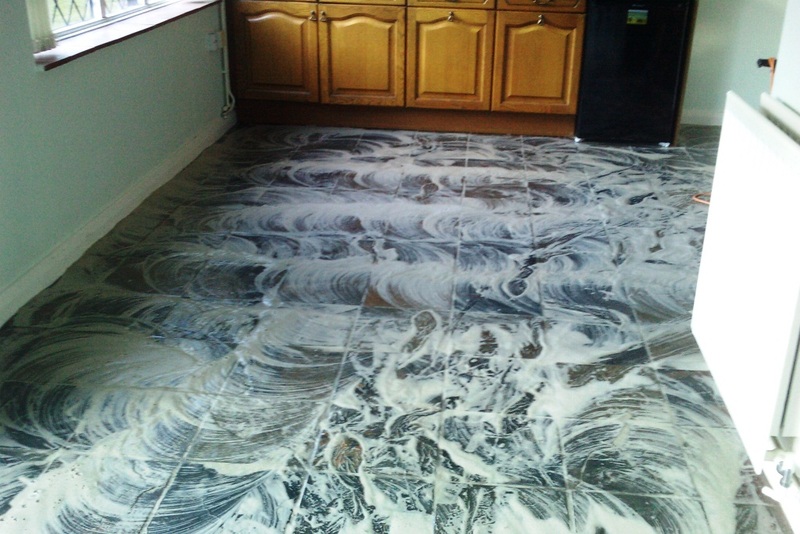 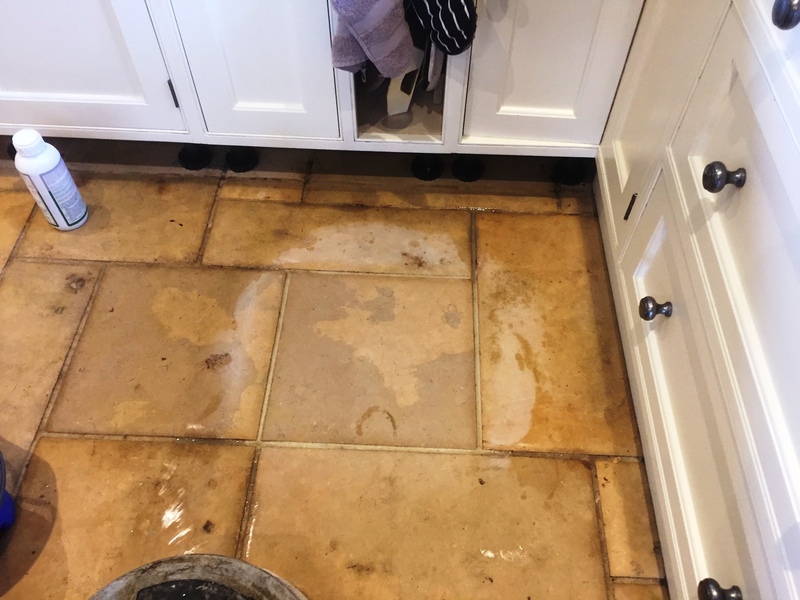 You can see from the photograph below how dirty these Black Chinese Slate tiles and grout had become; the old sealer protecting the tile and grout from stains had virtually vanished because the customer in Basingstoke had been using washing up liquid to clean them. 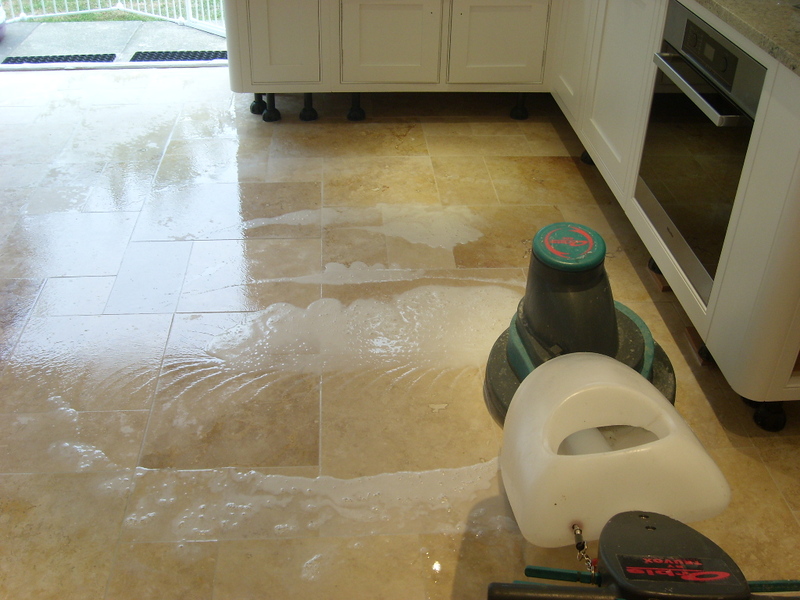 Generally speaking washing up liquid is a degreaser with a slight Acidic PH and over time it can strip the sealer off. 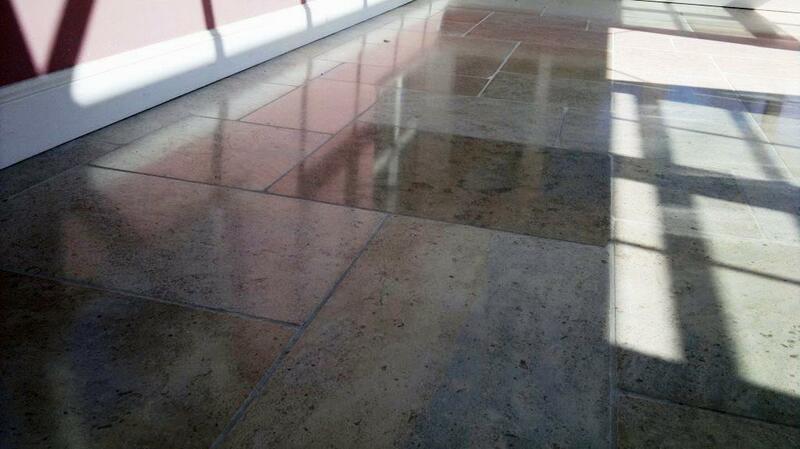 This was definitely the root cause of problem in this case in fact the sealer was virtually non existent. 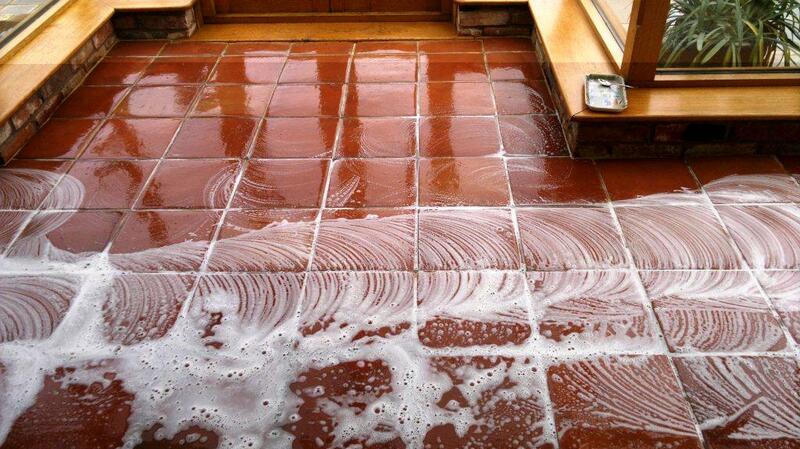 In a way this made our job easier as we have to remove any sealer before we can start cleaning. 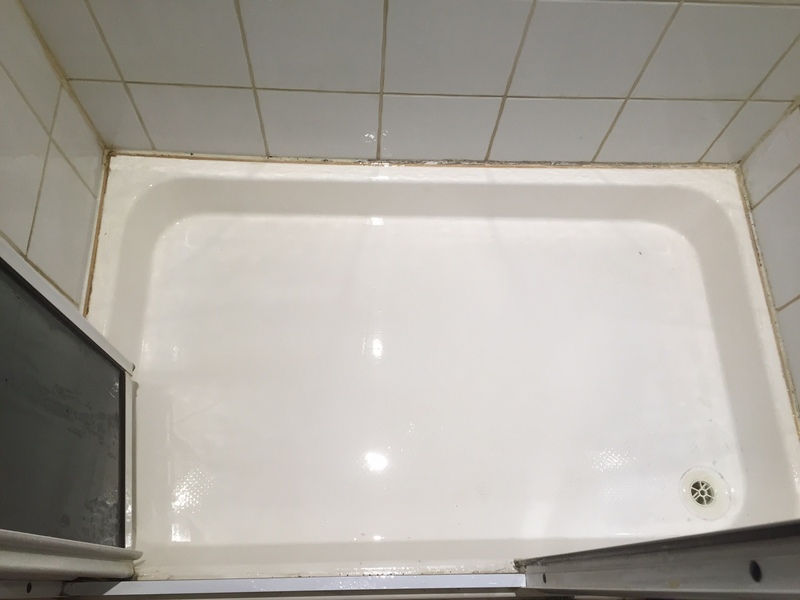 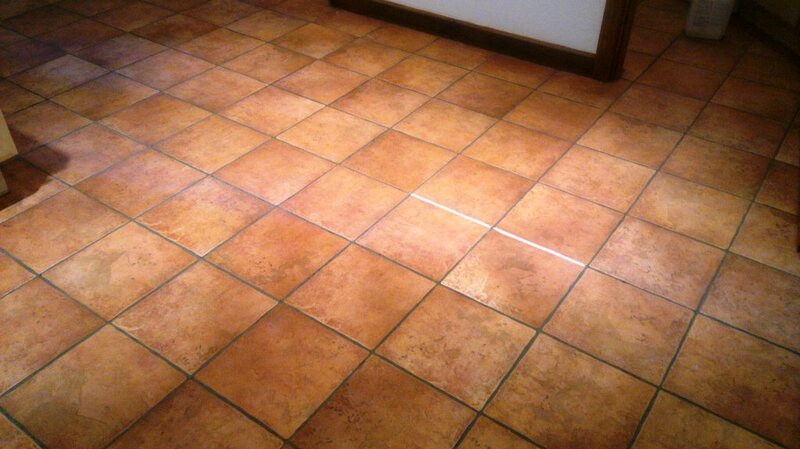 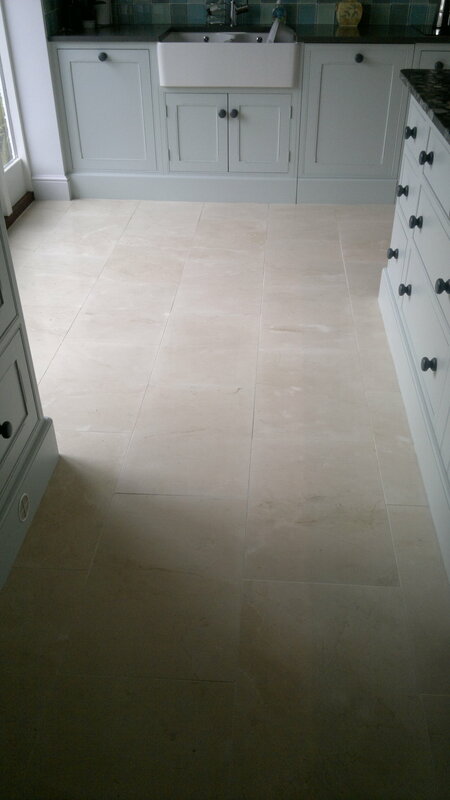 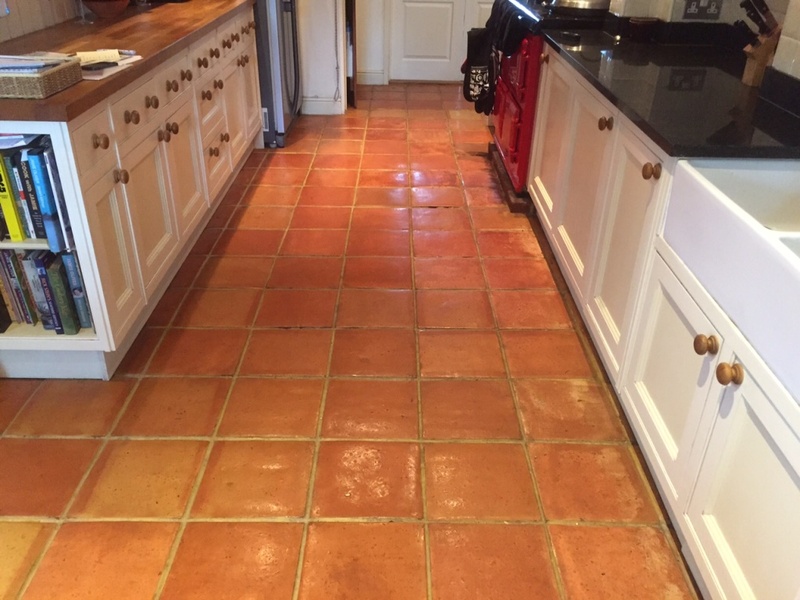 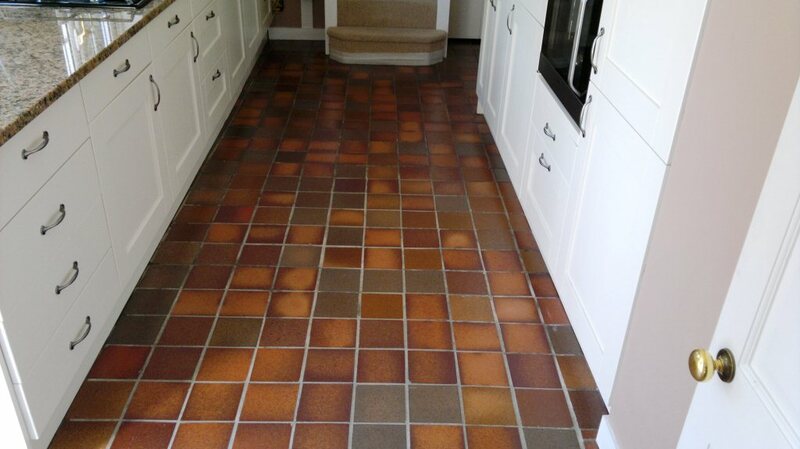 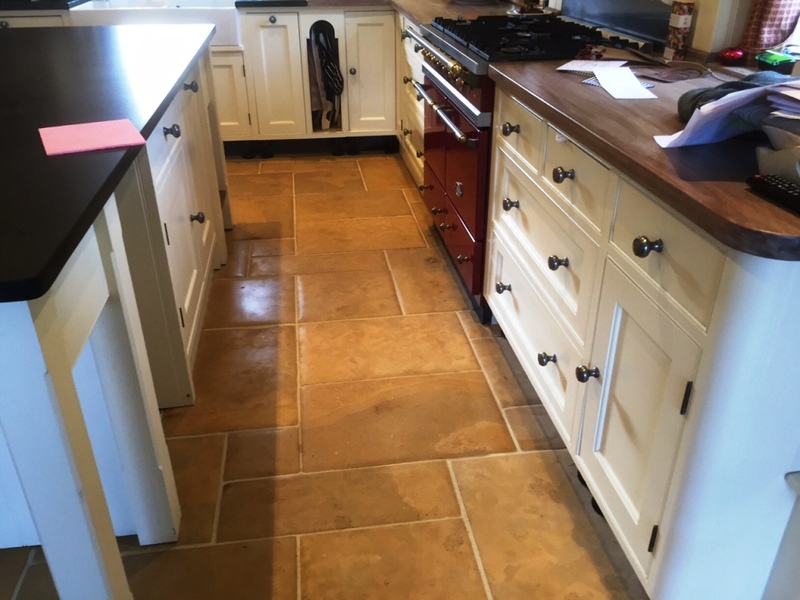 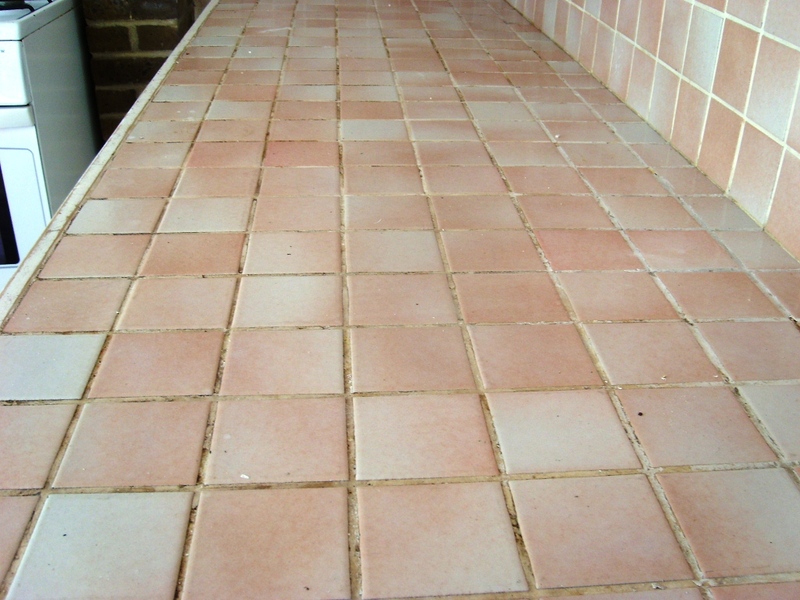 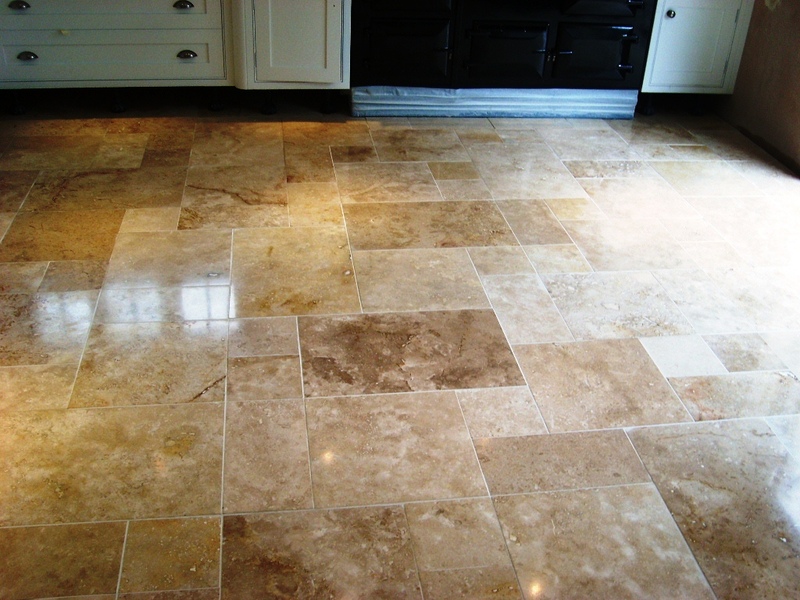 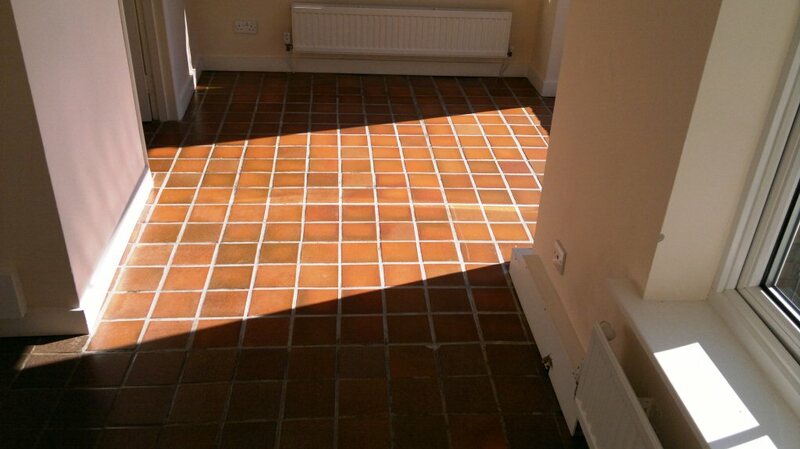 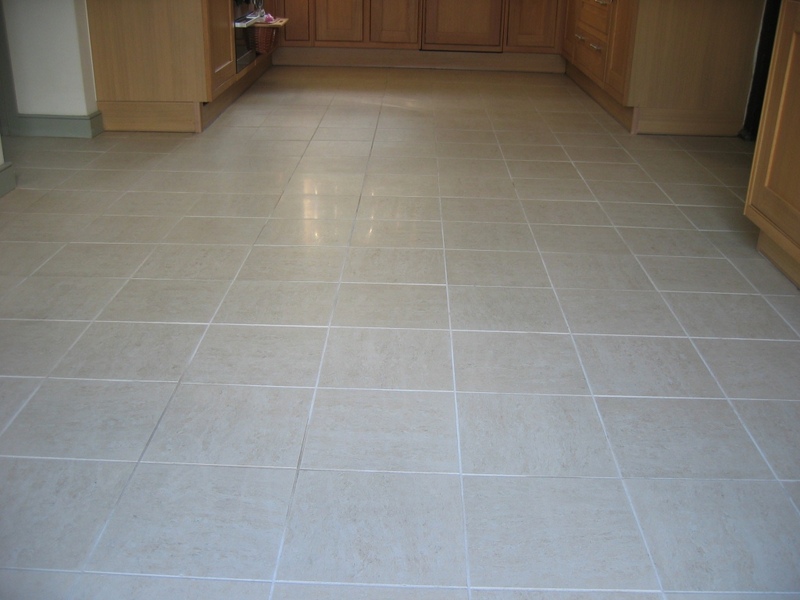 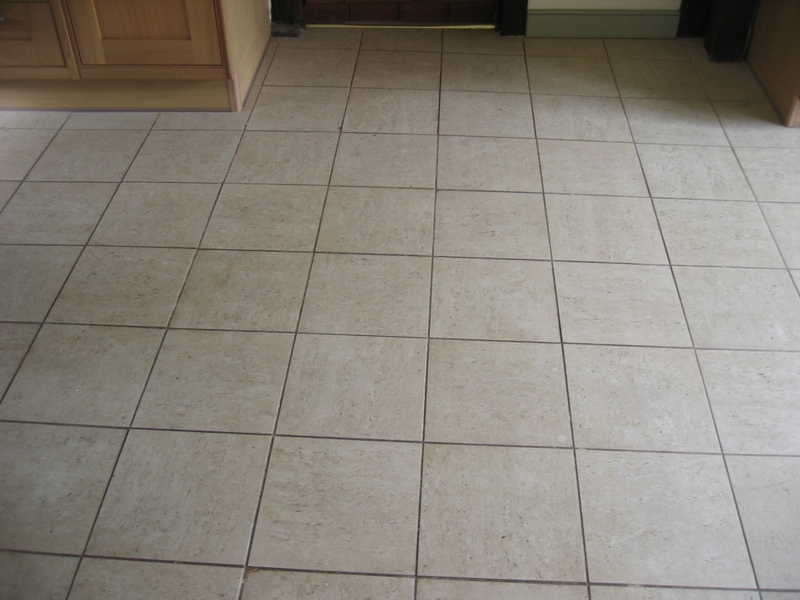 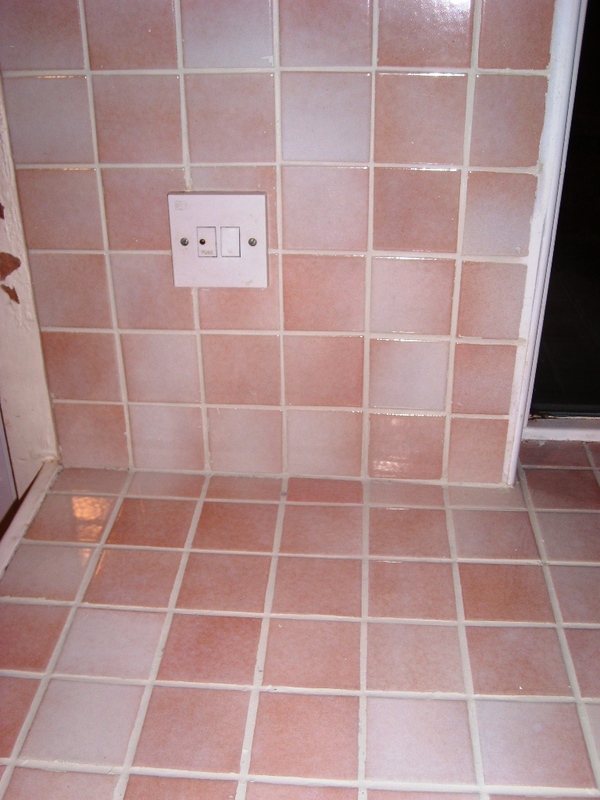 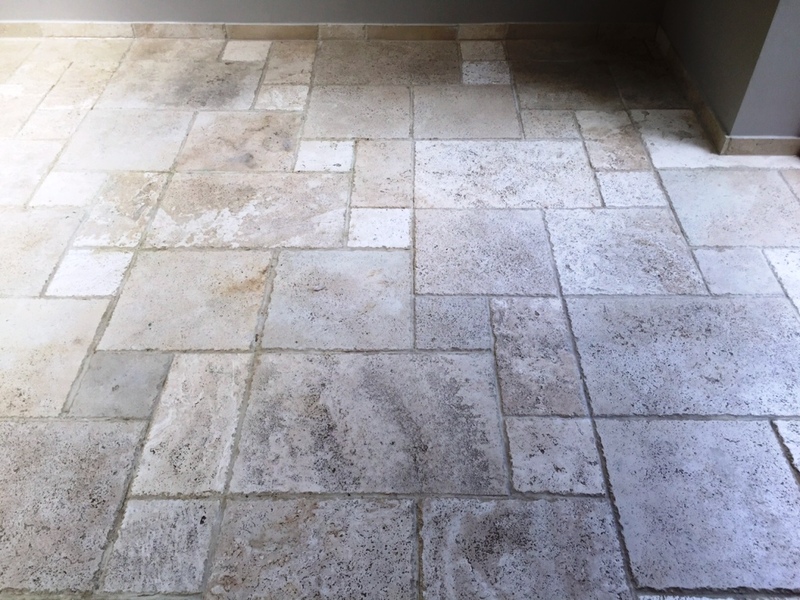 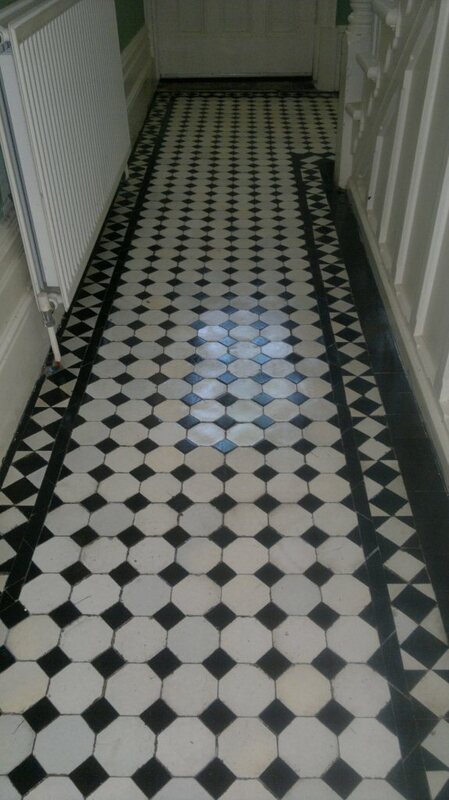 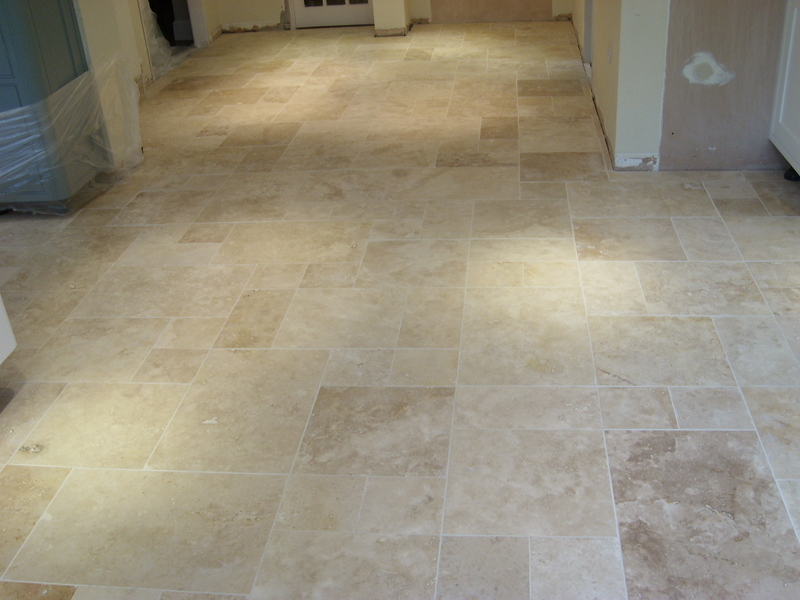 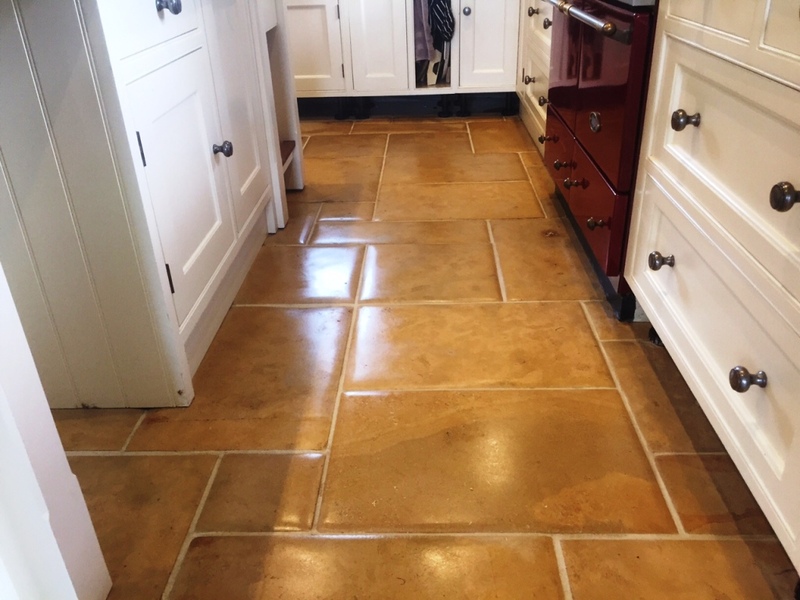 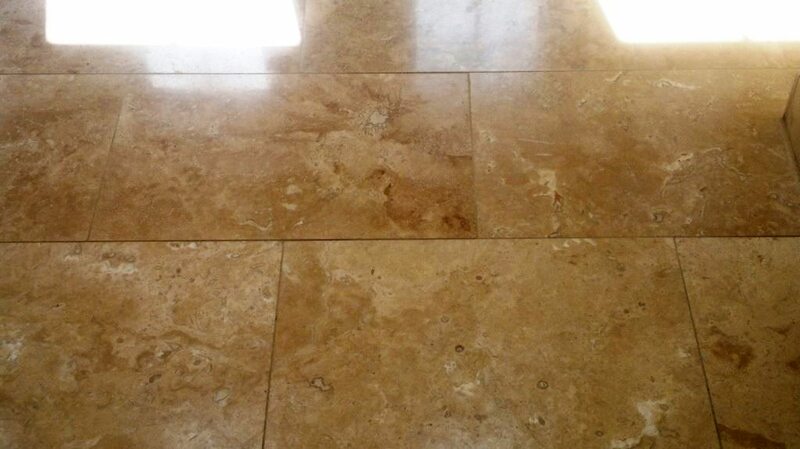 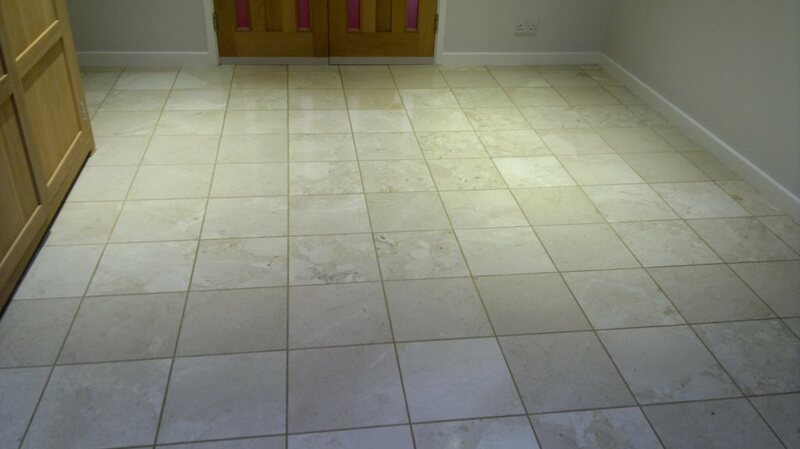 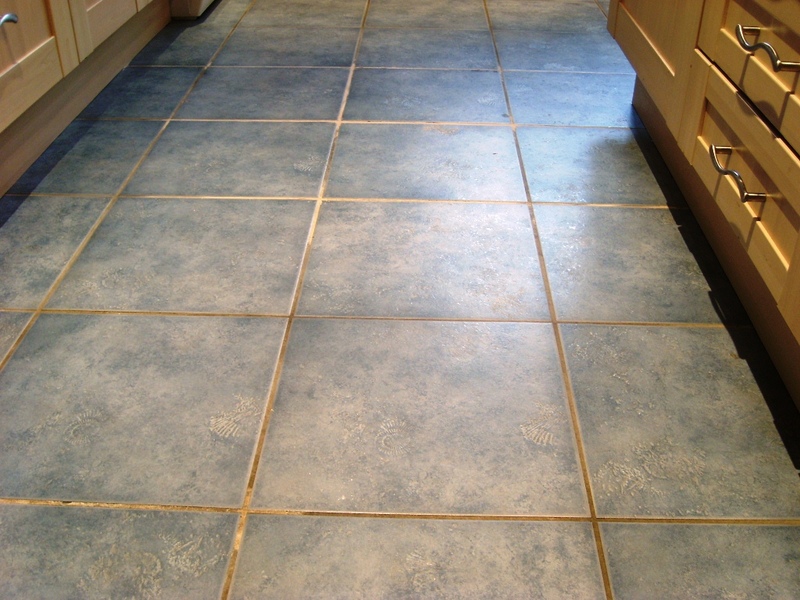 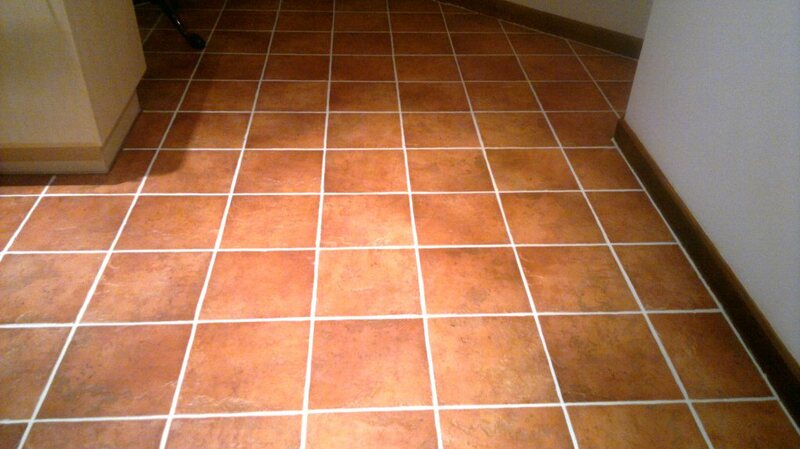 The first job we did was to work on the grout lines using a strong solution of Tile Doctor Pro-Clean which we left to dwell on the grout first before working it in with a special stiff brush. 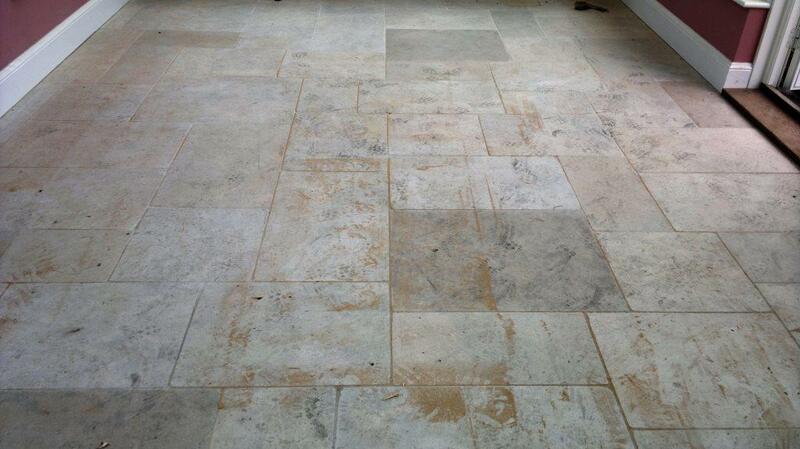 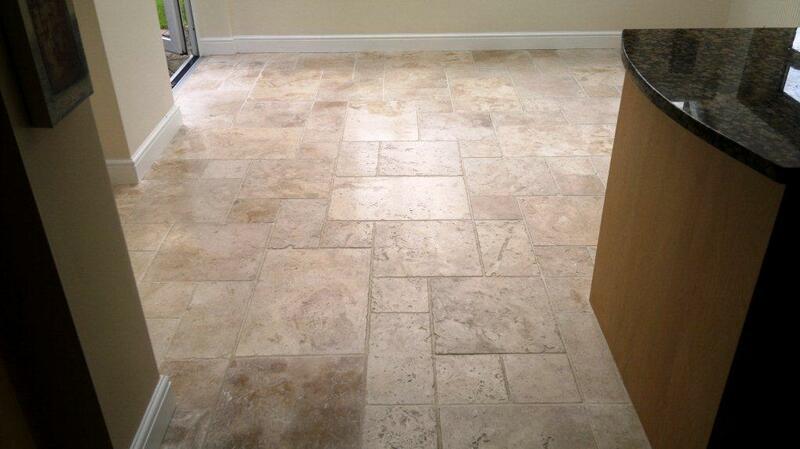 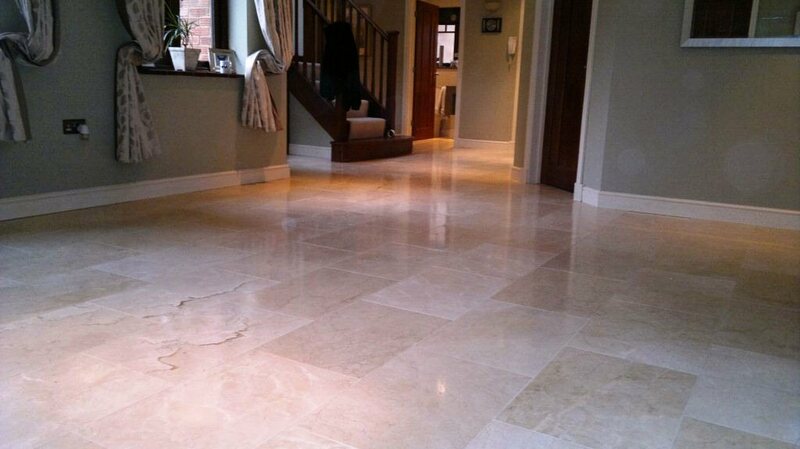 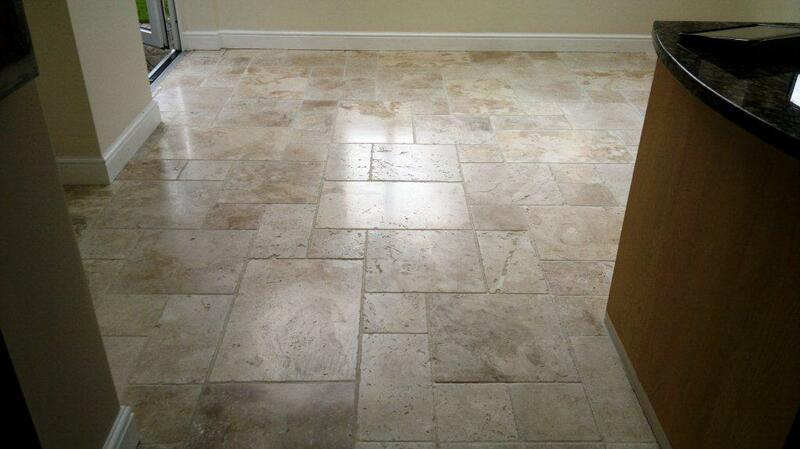 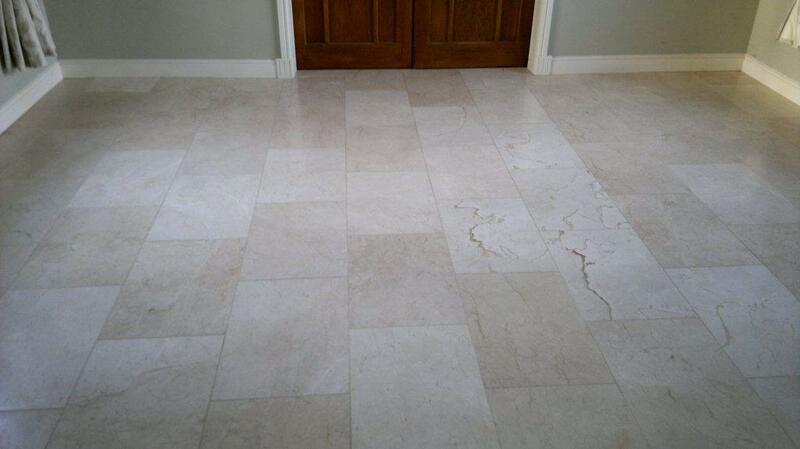 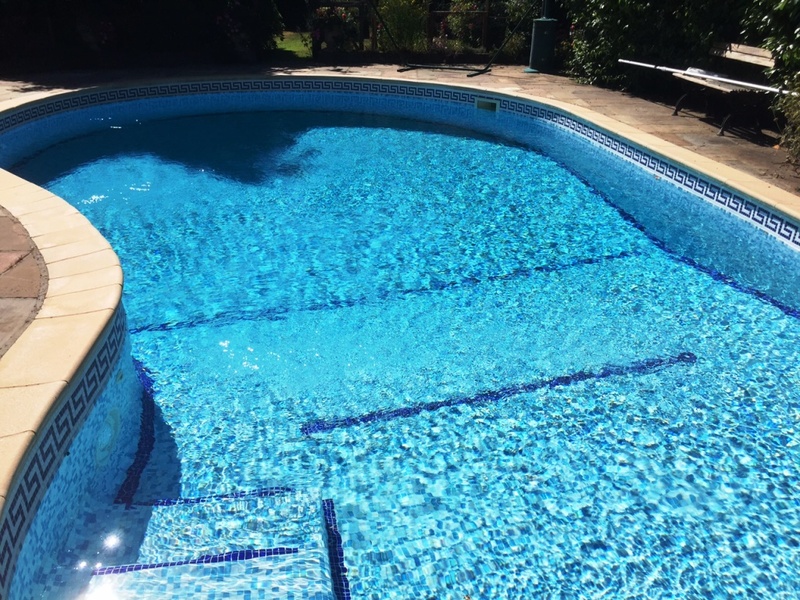 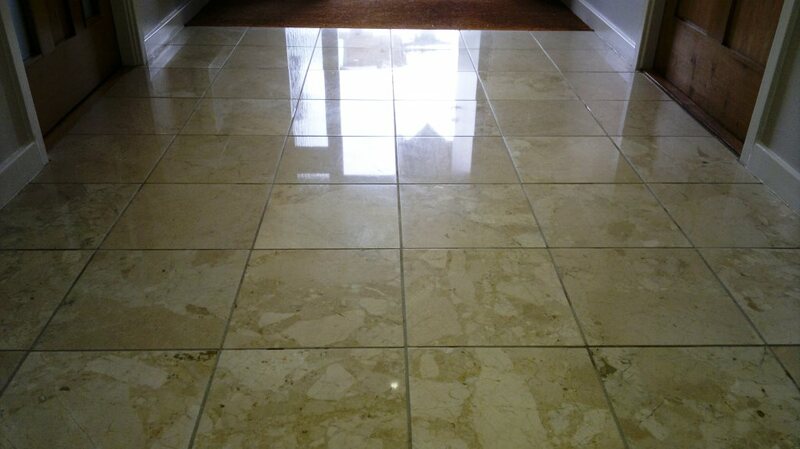 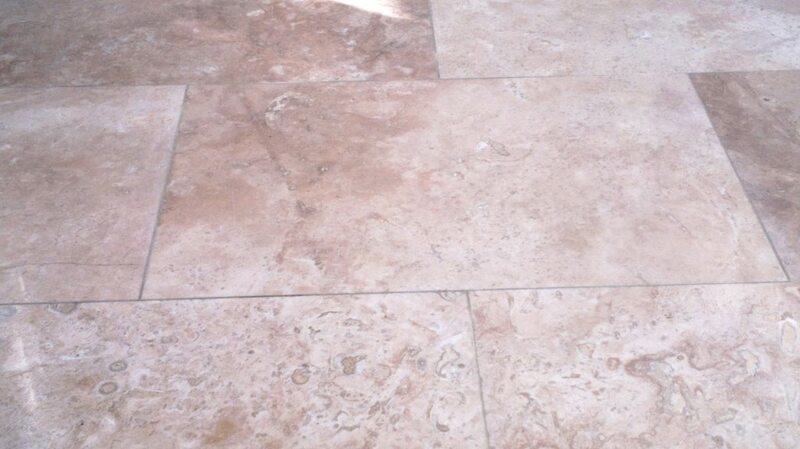 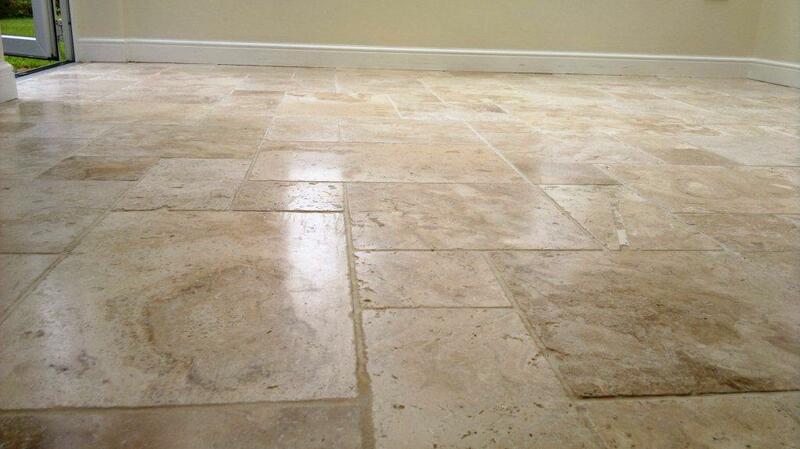 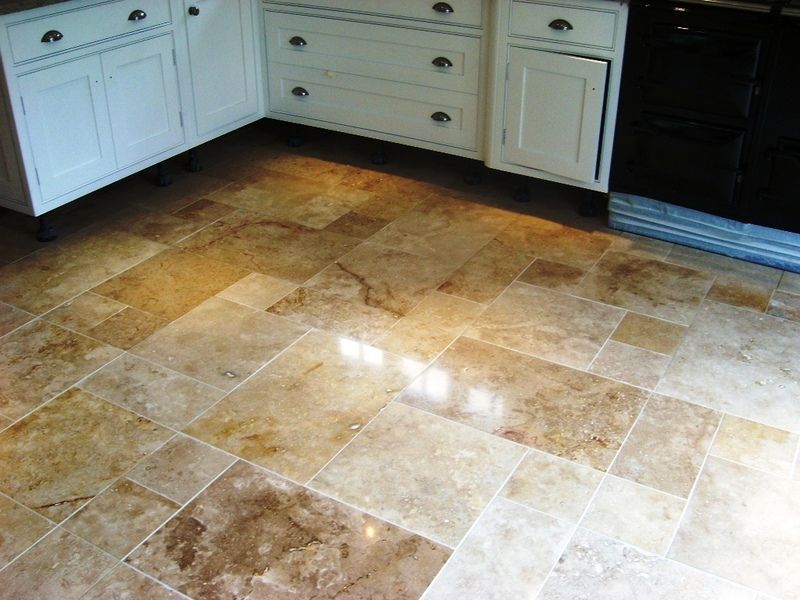 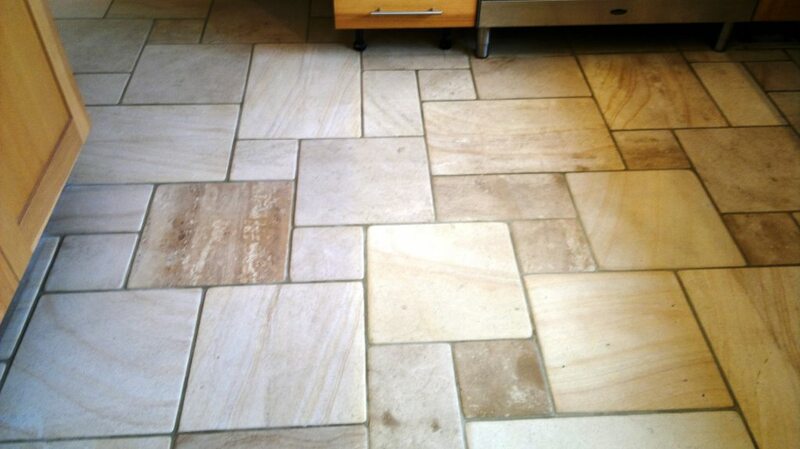 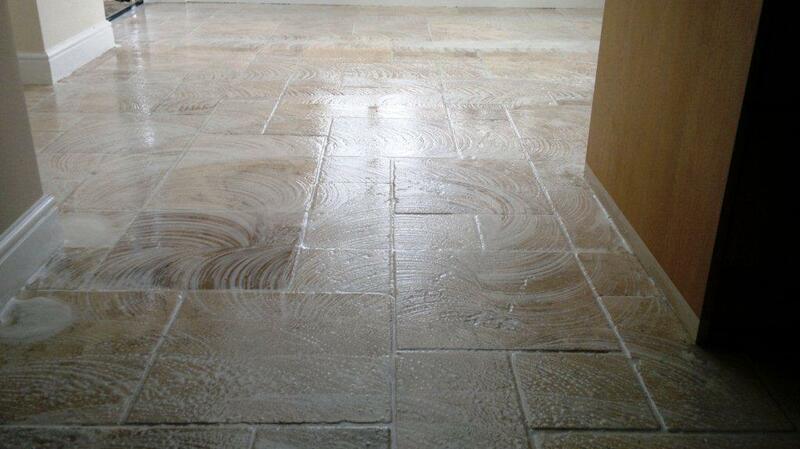 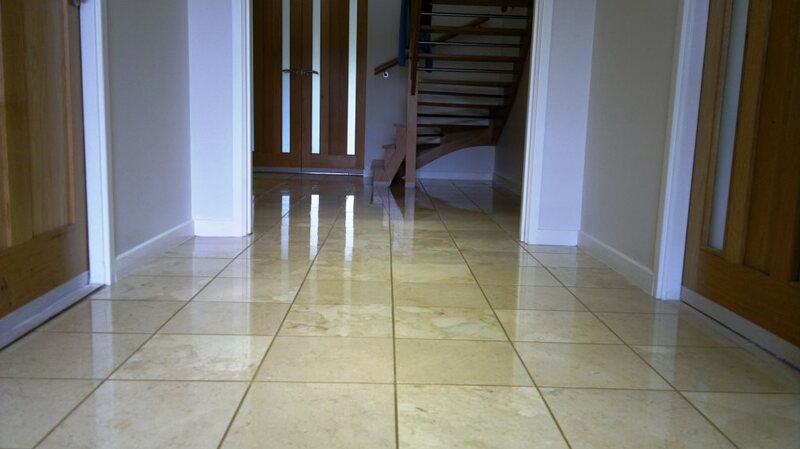 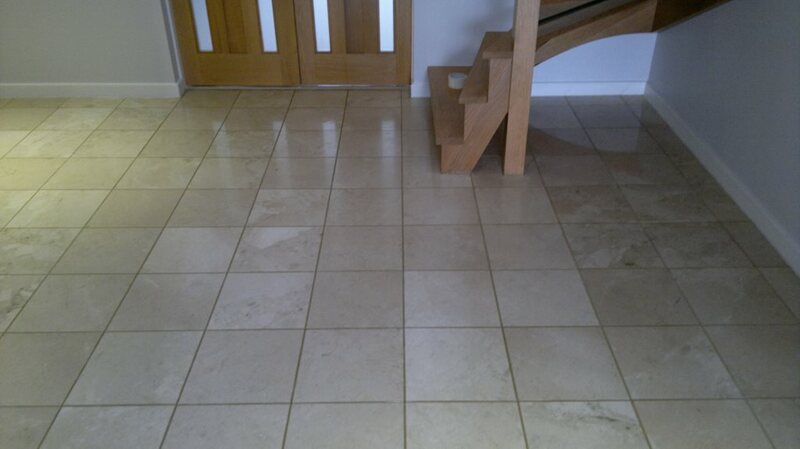 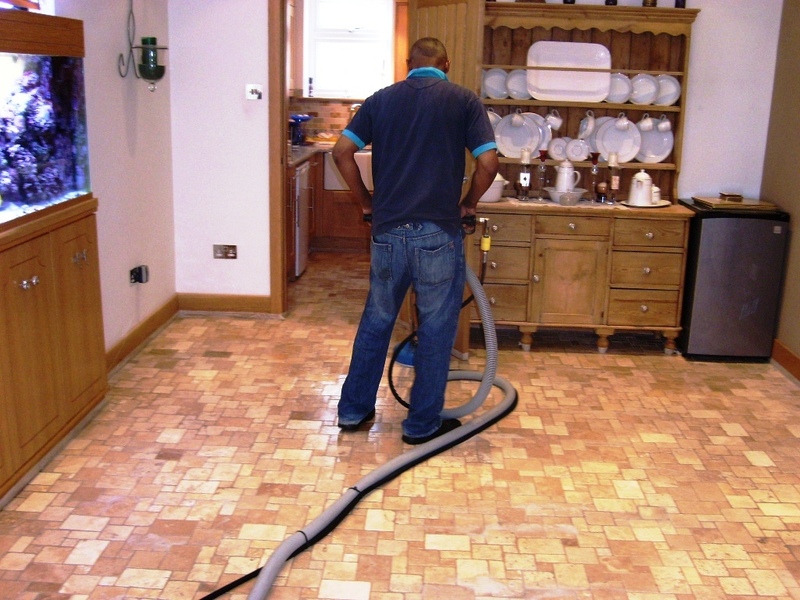 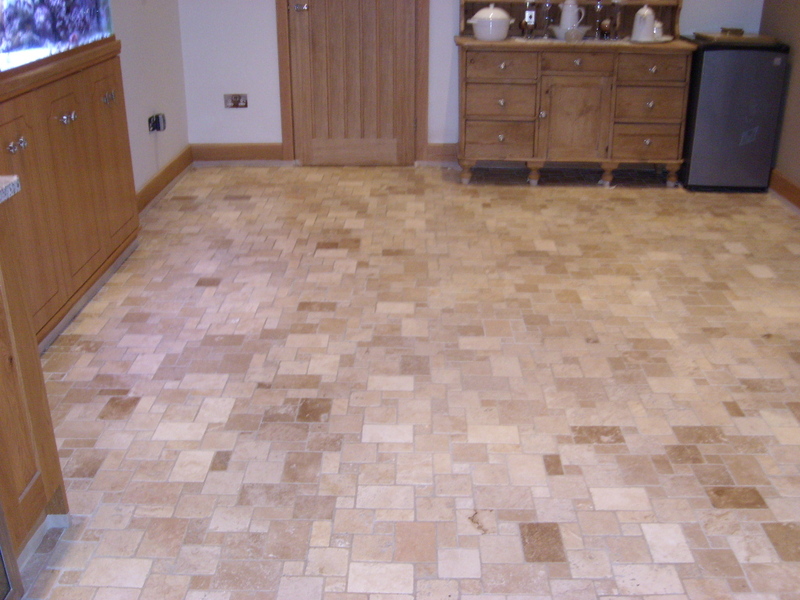 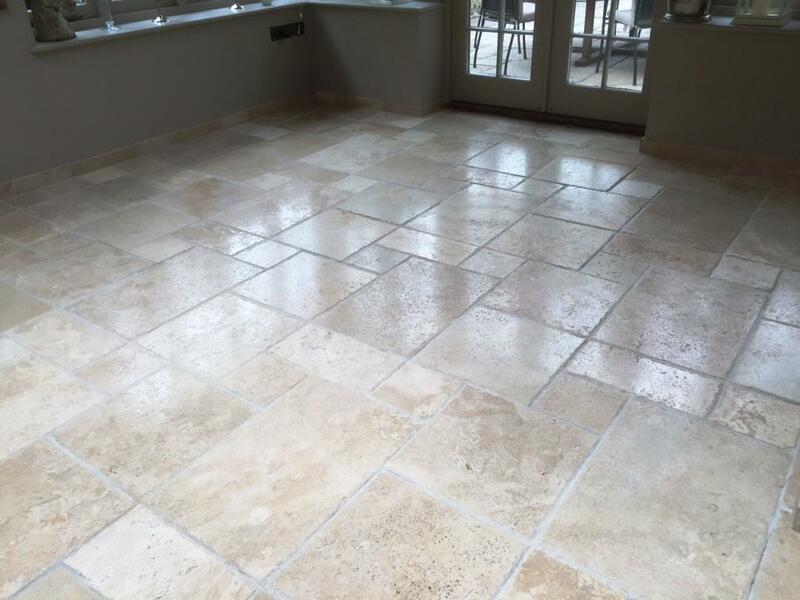 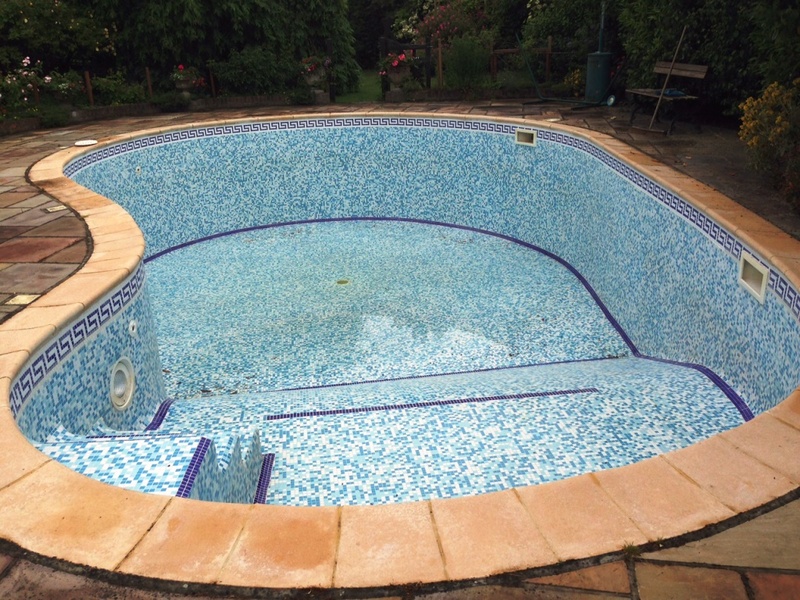 Pro-Clean is a strong alkaline cleaner which unlike acidic products is safe to use on all types of stone. 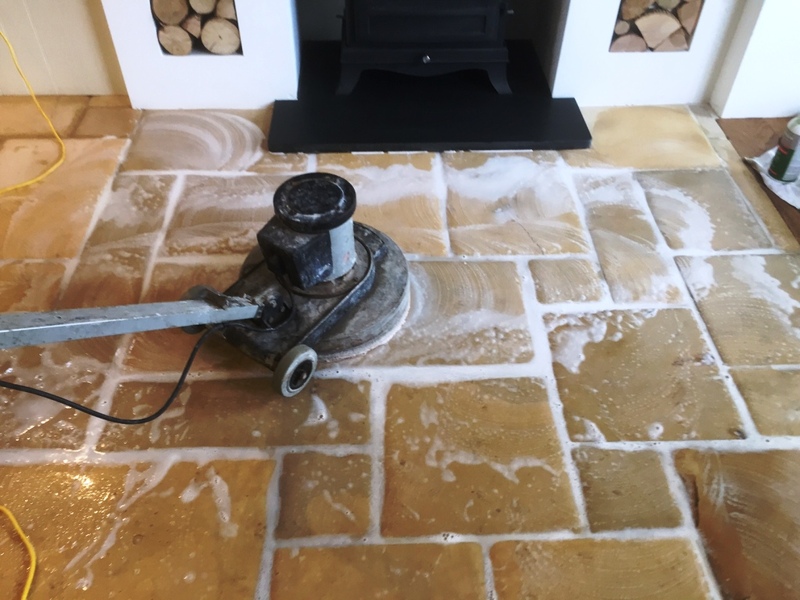 To remove the remaining sealer and clean the slate floor we used Pro-Clean again this time worked in with a rotary machine fitted with a scrubbing pad. 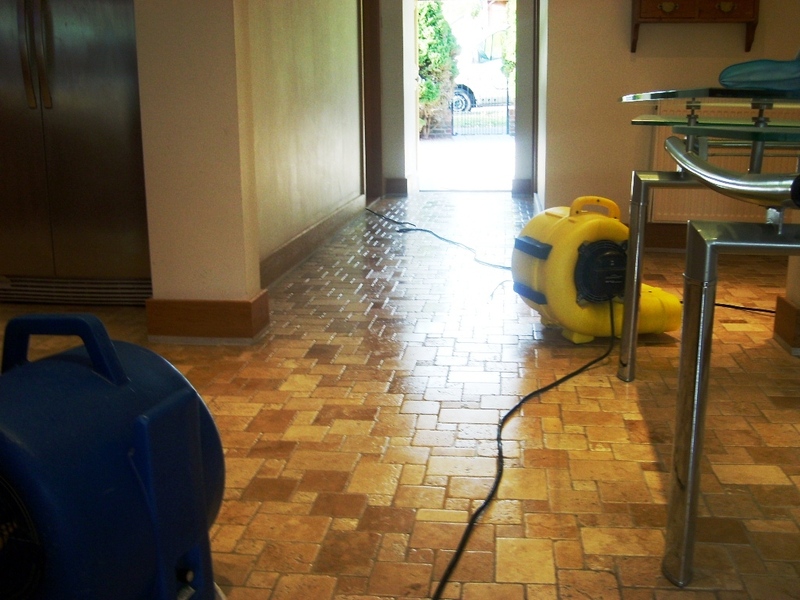 The soiled liquids were removed and the floor rinsed down with clean water, we find a wet Vacuum machine comes in very handy at this point as there great for removing liquids from floors. 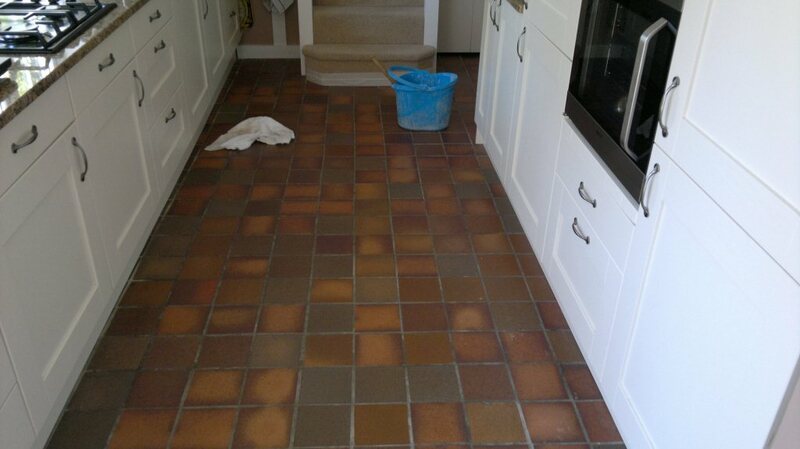 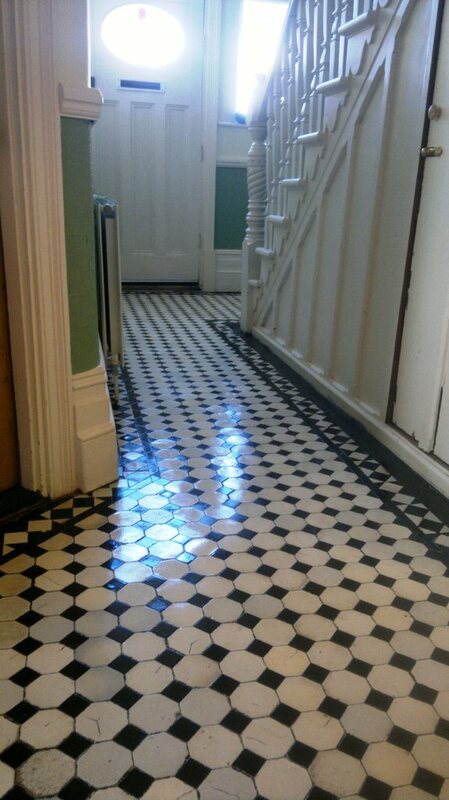 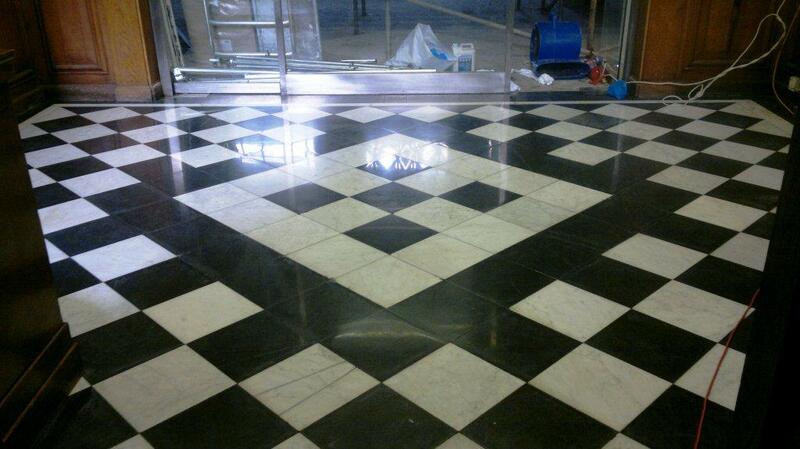 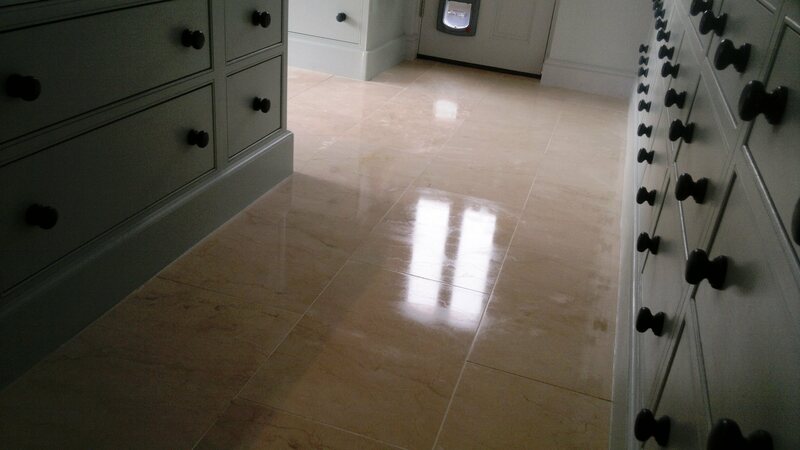 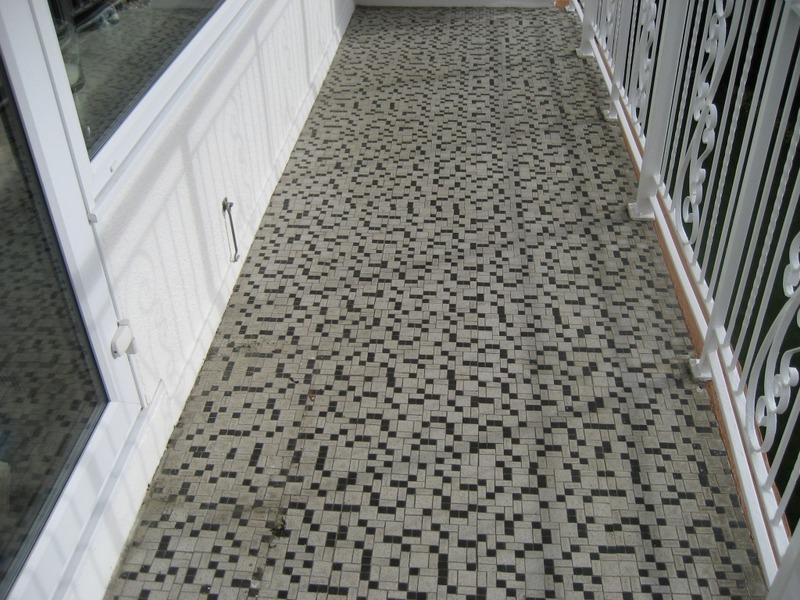 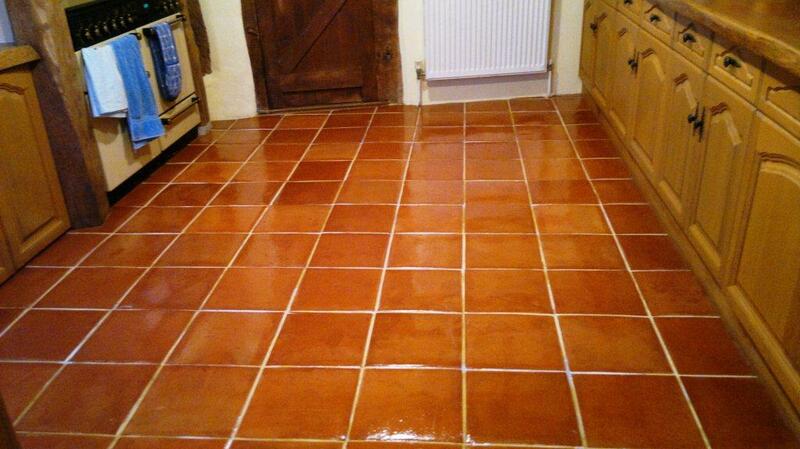 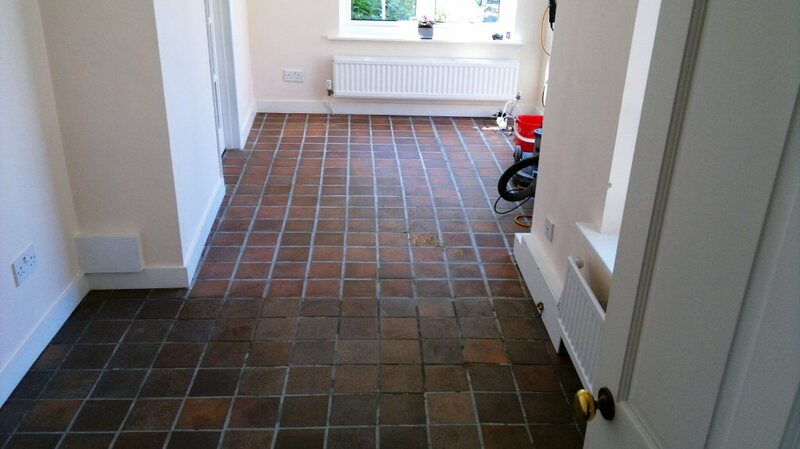 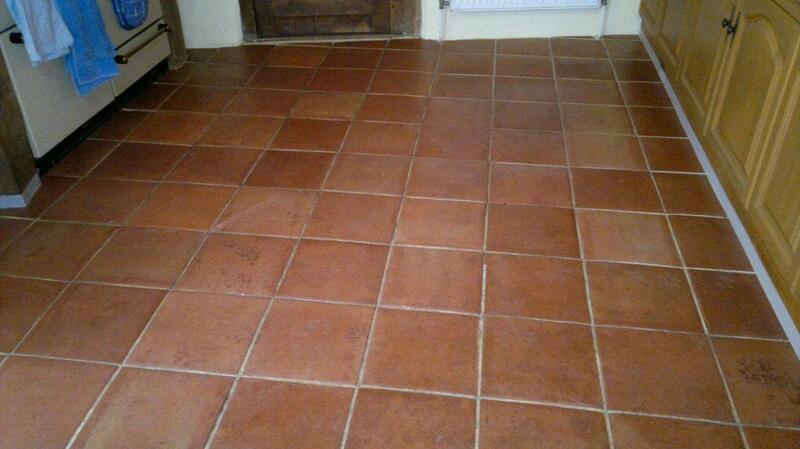 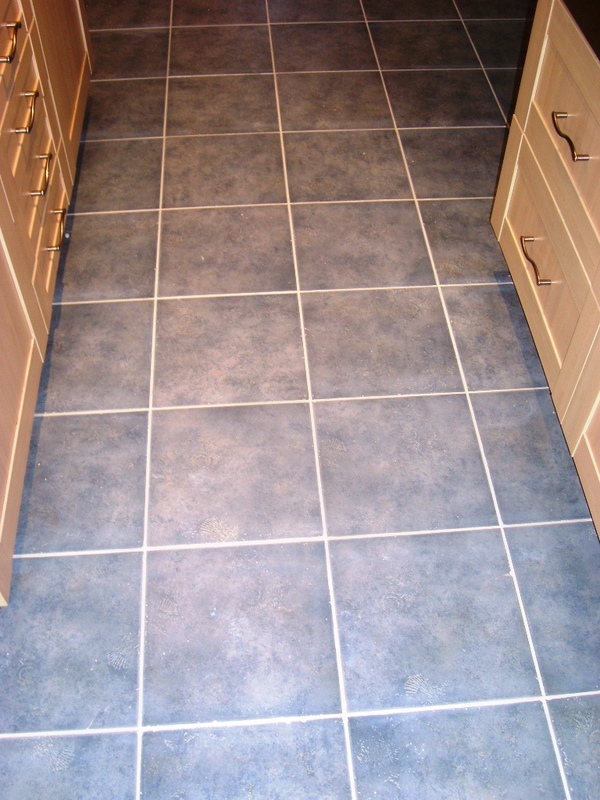 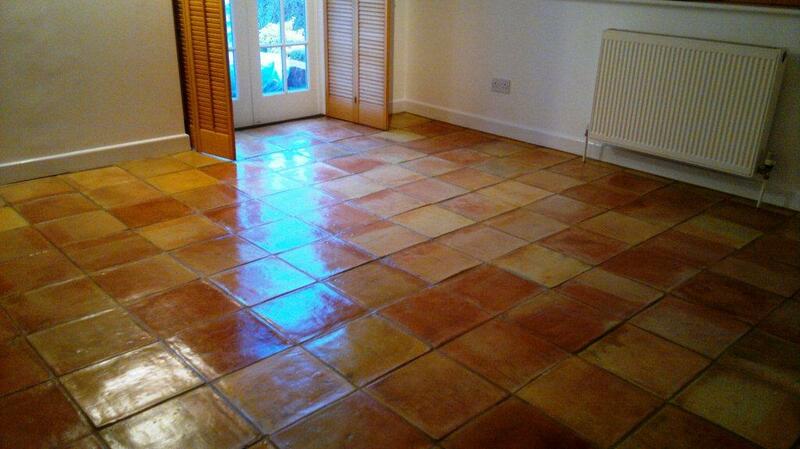 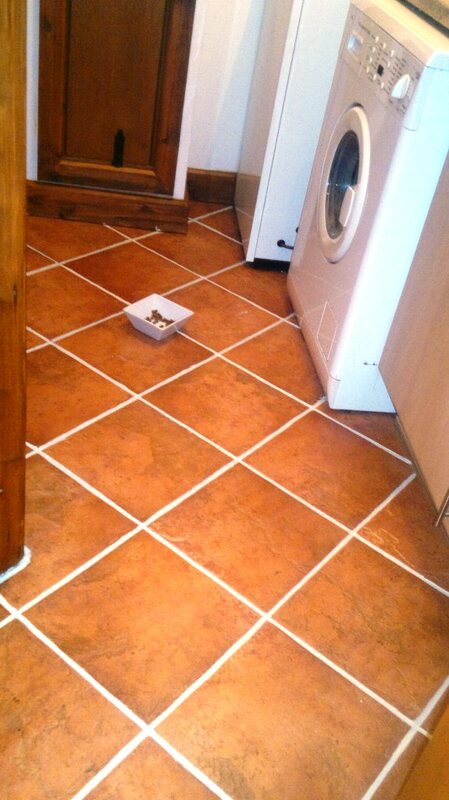 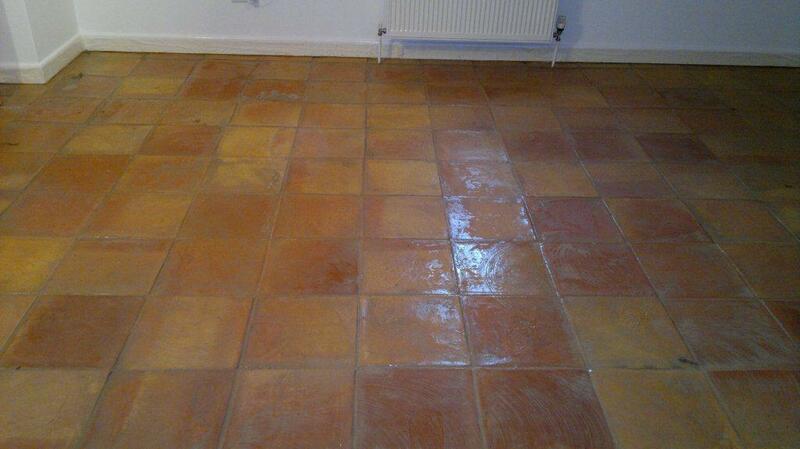 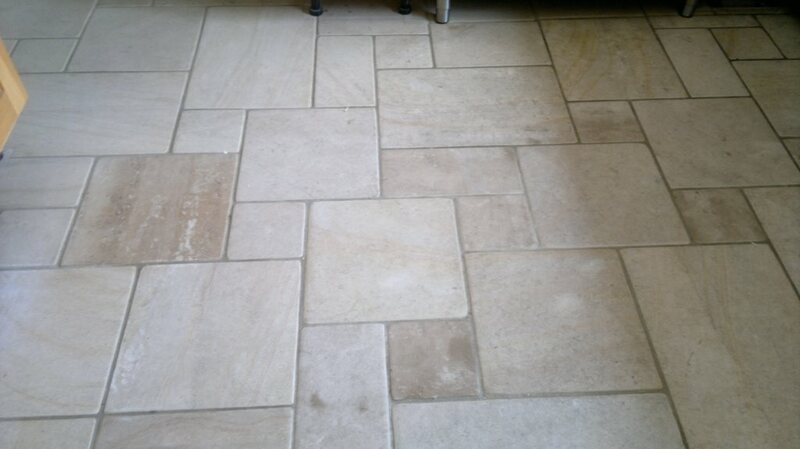 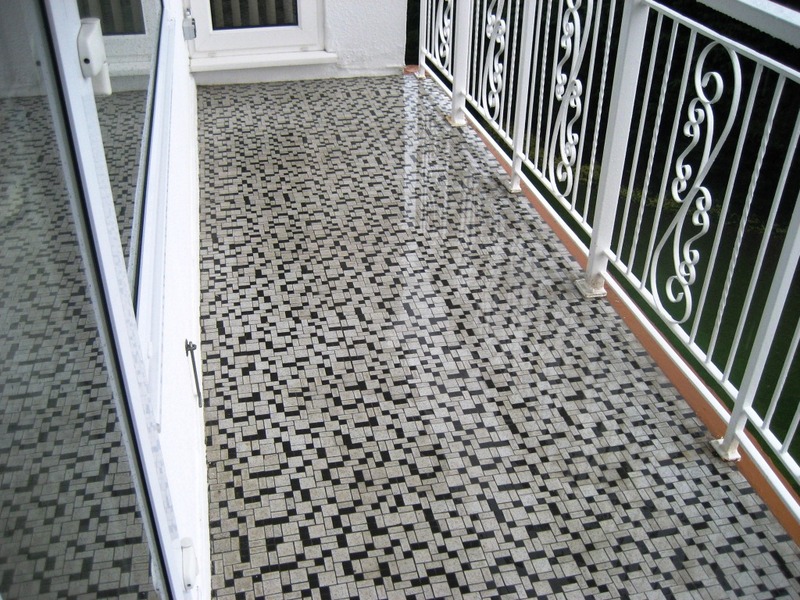 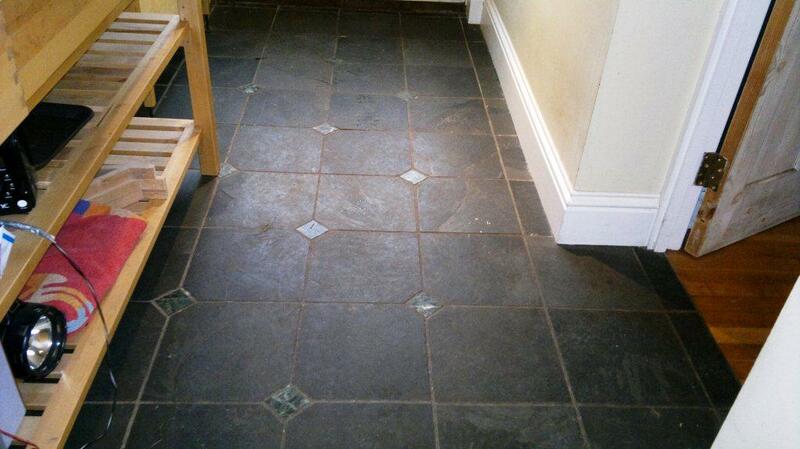 We repeated this process a number of times until we were happy the slate tile and grout were thoroughly clean. 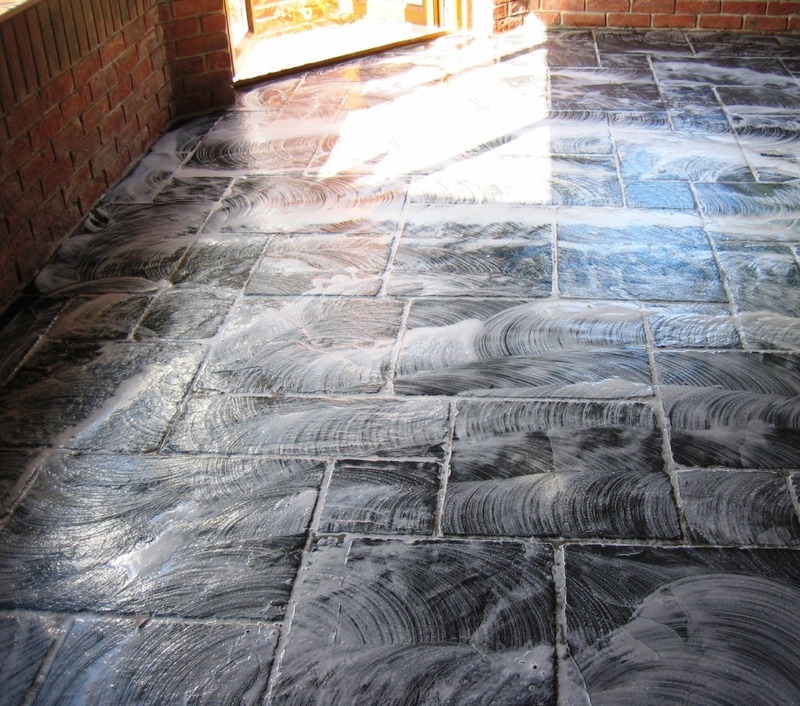 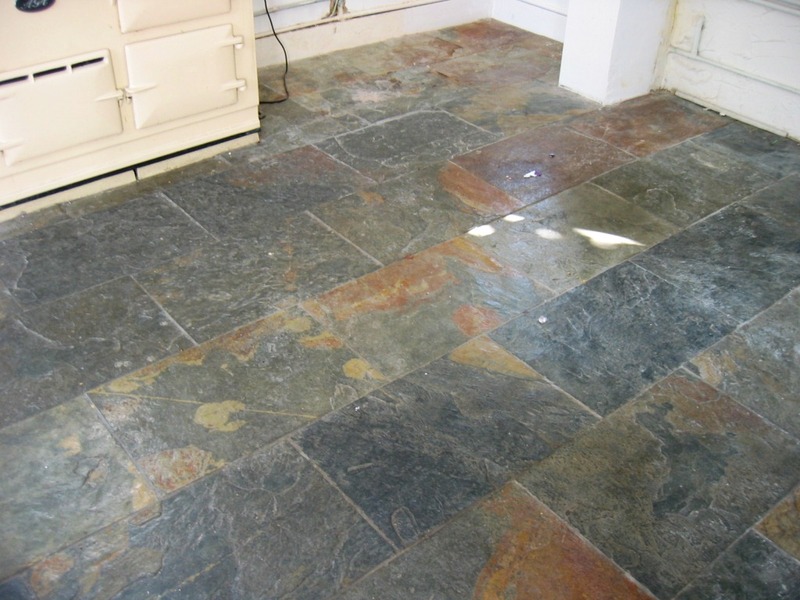 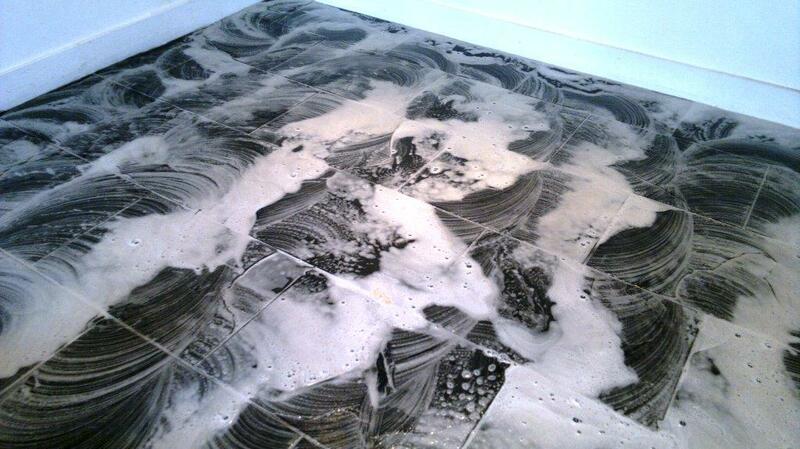 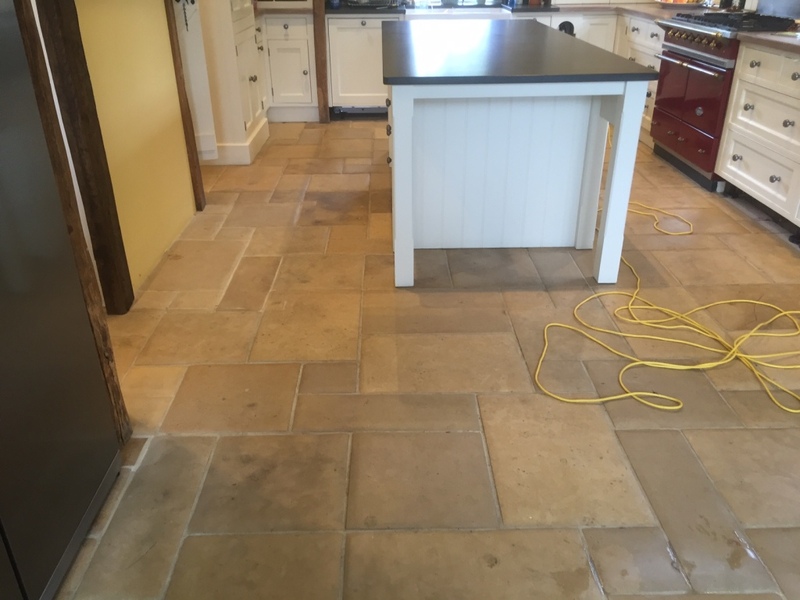 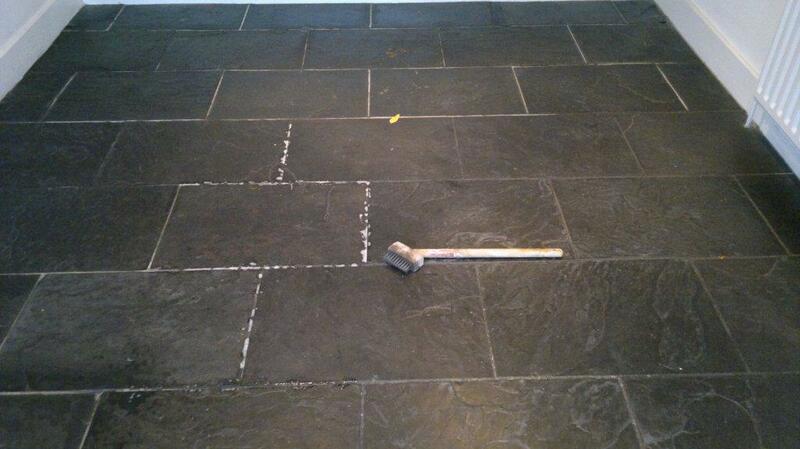 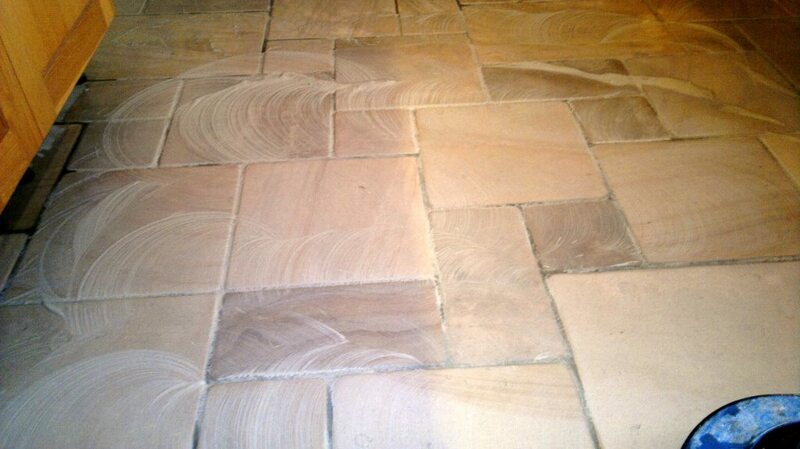 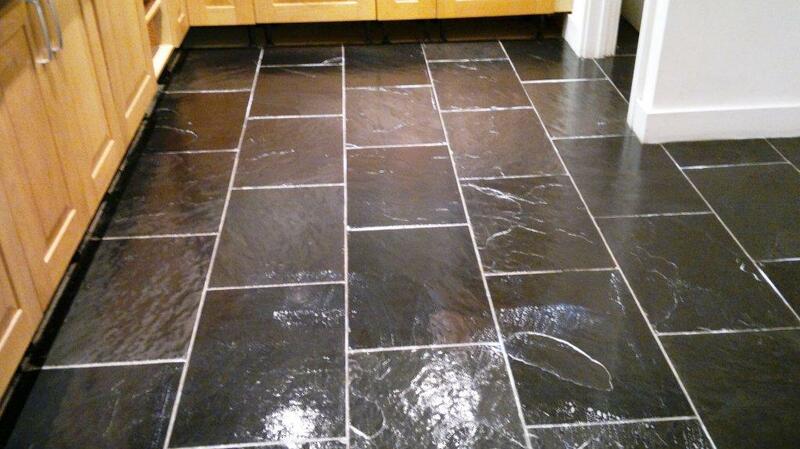 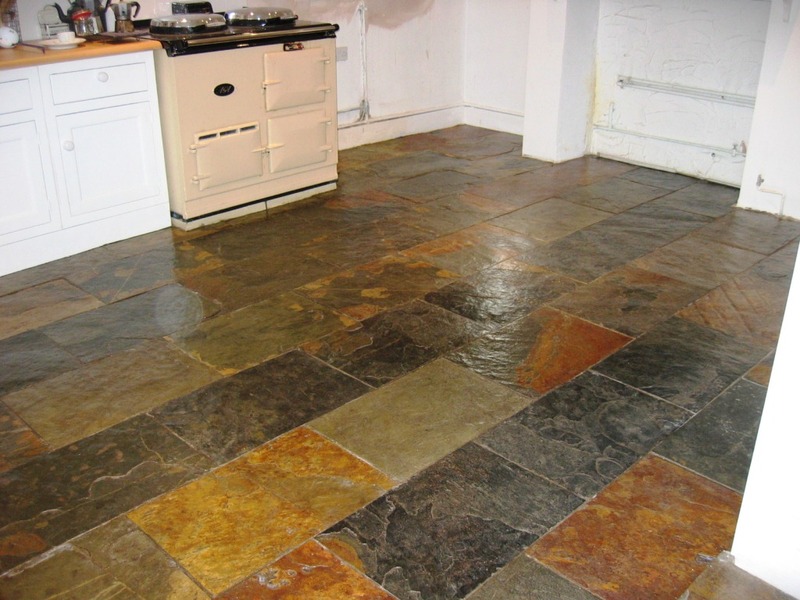 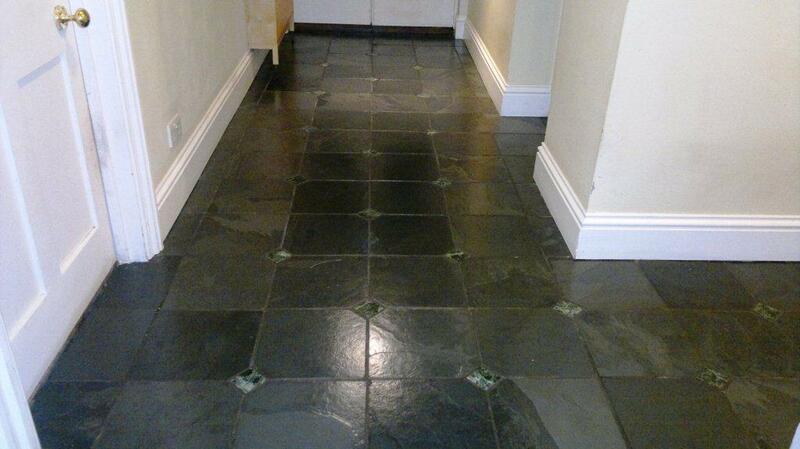 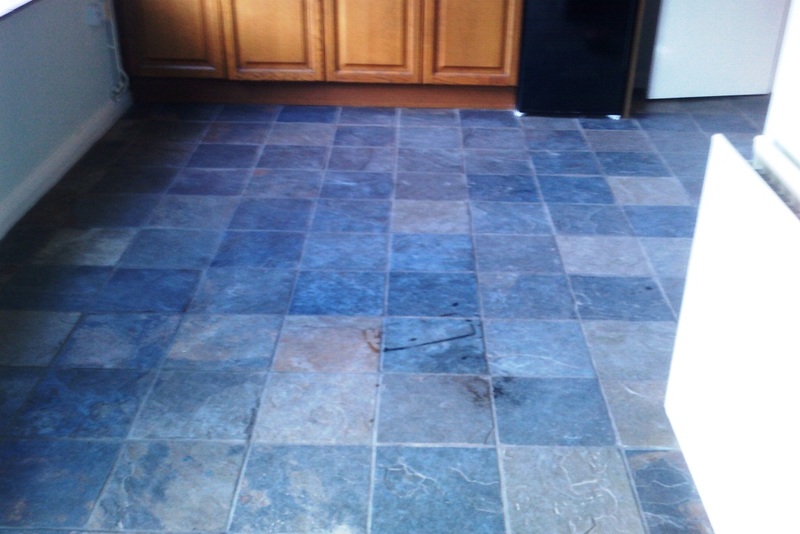 The slate floor was left to dry overnight and we came back the next day to seal it. 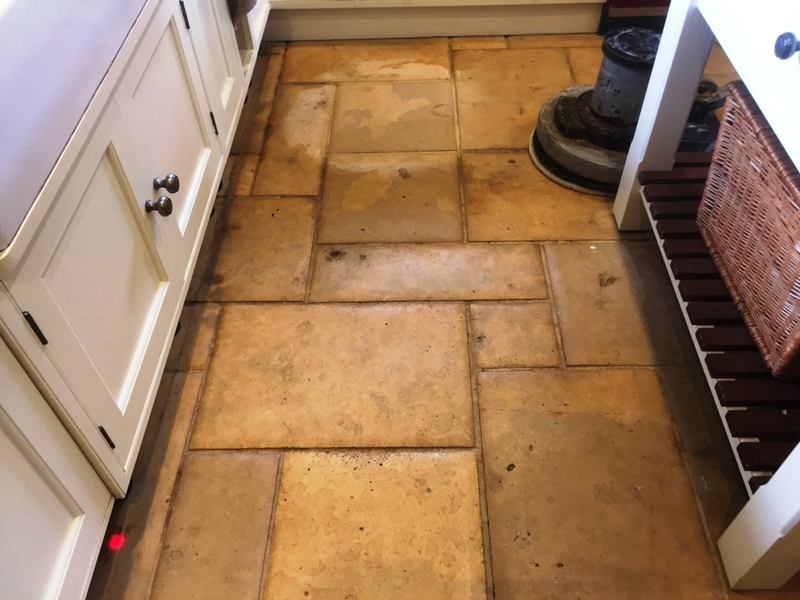 The floor has to be dry for this process so we use a damp meter to make sure and we keep an industrial air blower in the van that we can use in case we need to speed things up. 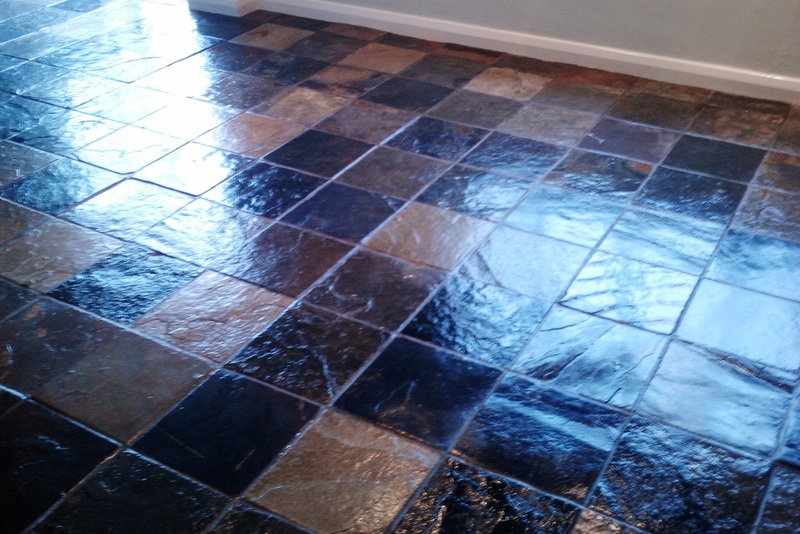 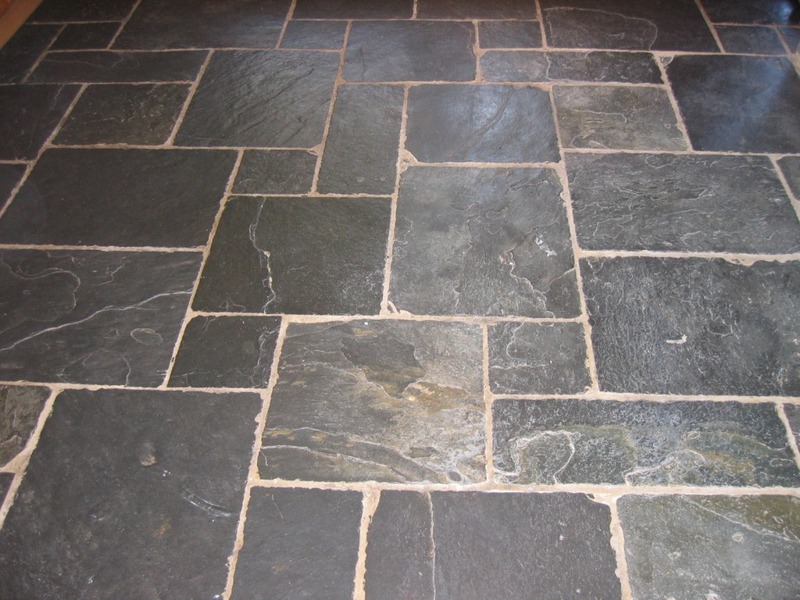 To seal the black slate we applied five coats of Tile Doctor Seal and Go which is a great stain protector recommended for slate floors that leaves a nice low sheen on the floor. 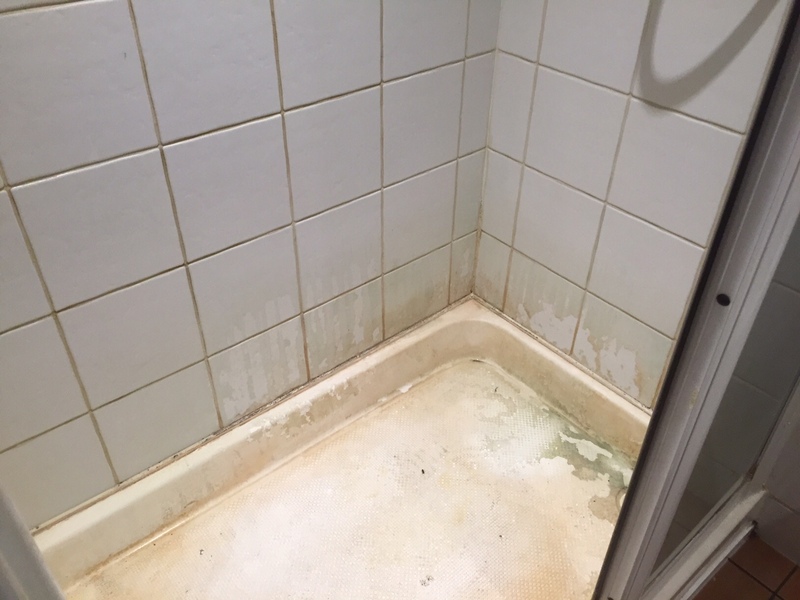 Last but not least we advised the customer that going forward they should use a PH neutral cleaning product for regular cleaning and recommended the use Tile Doctor Neutral Cleaner going forward.